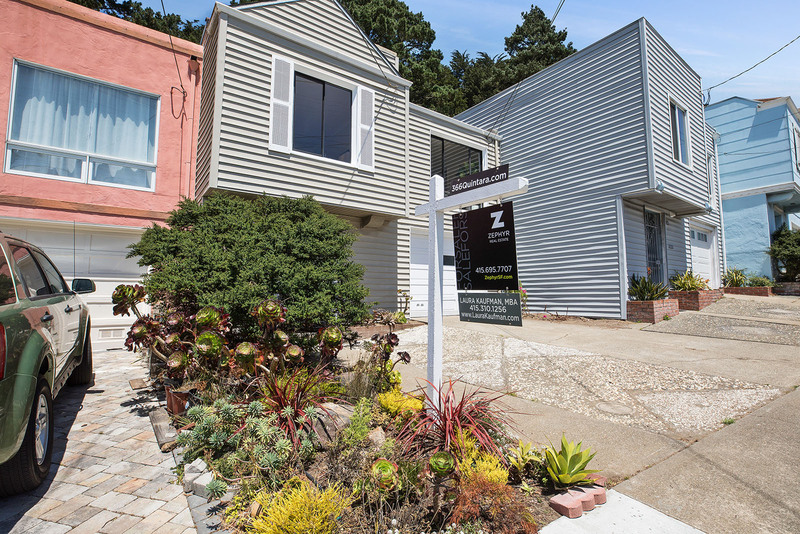 Charming & Light-filled Golden Gate Heights Home 366 Quintara Street Sold $251,000 over list with multiple offers! 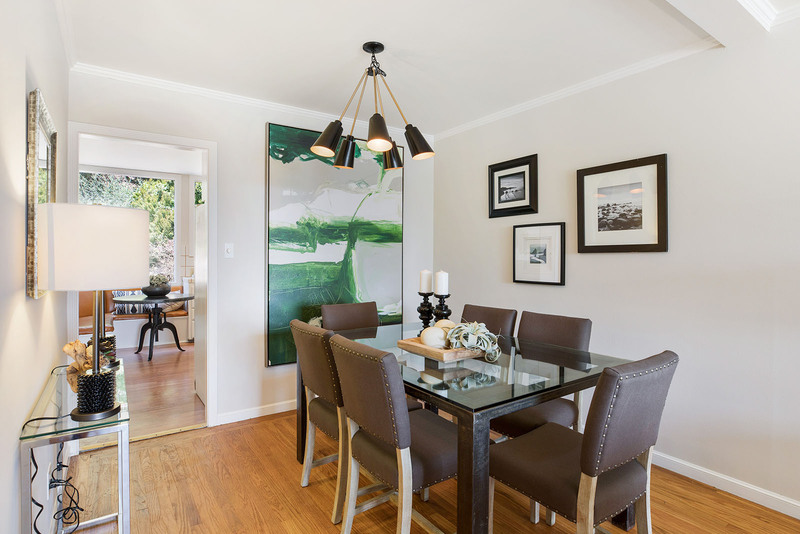 Spacious dining room open to living room – perfect for entertaining! 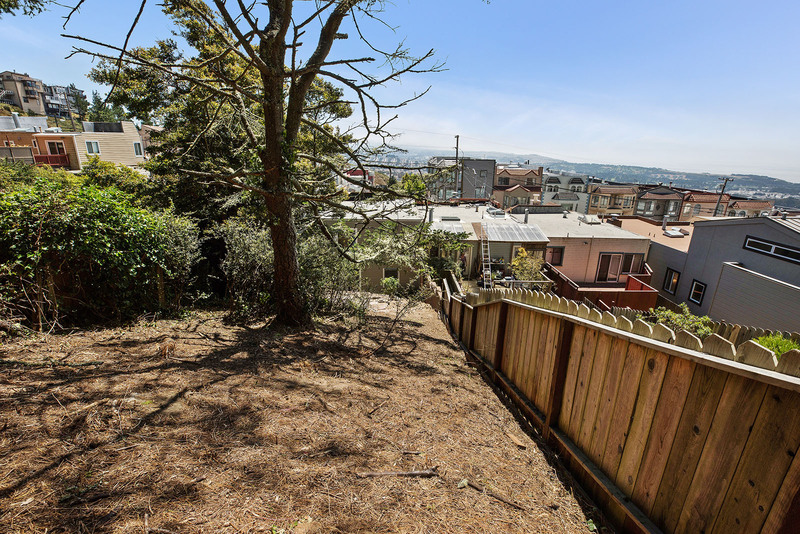 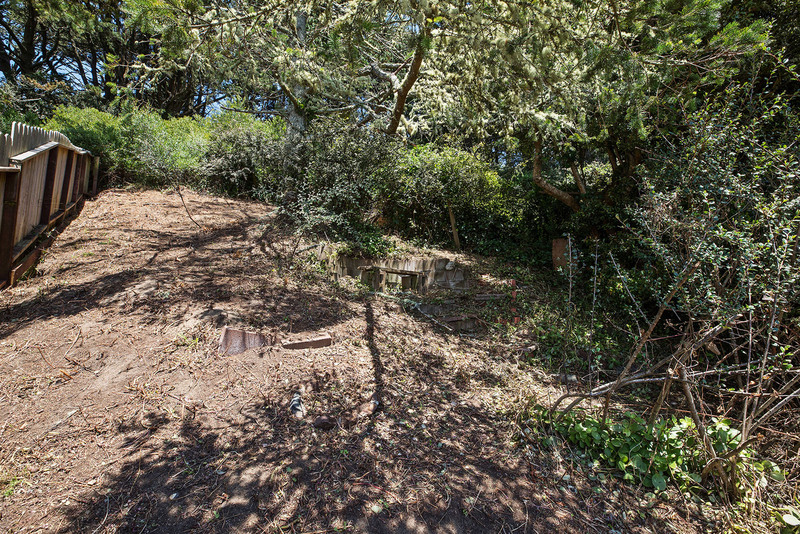 Expansive and terraced back yard, full of possibilities! 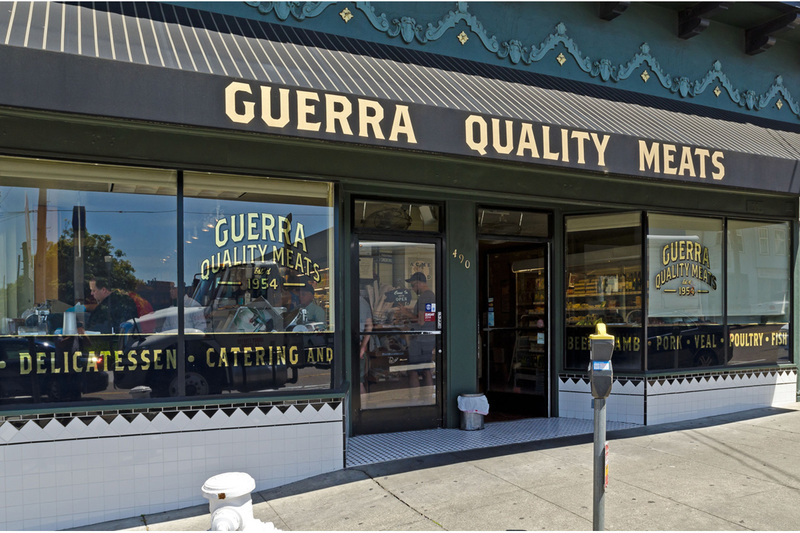 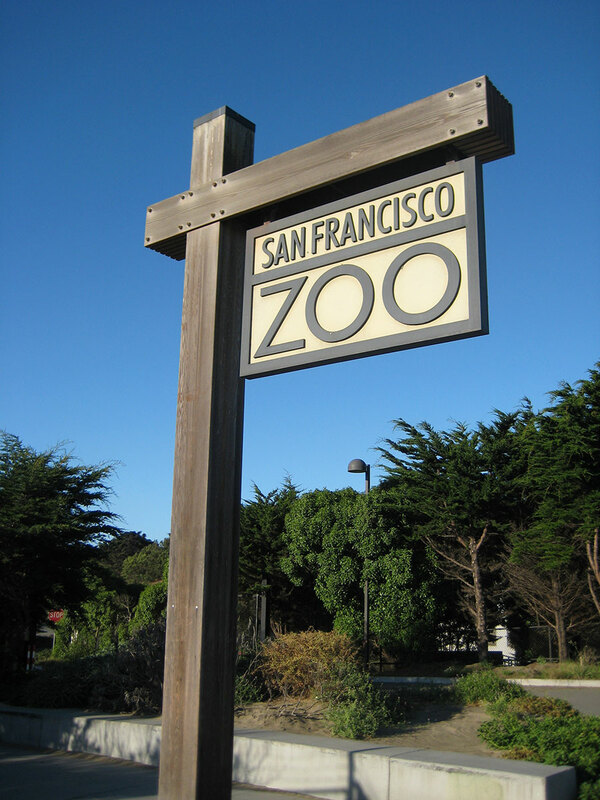 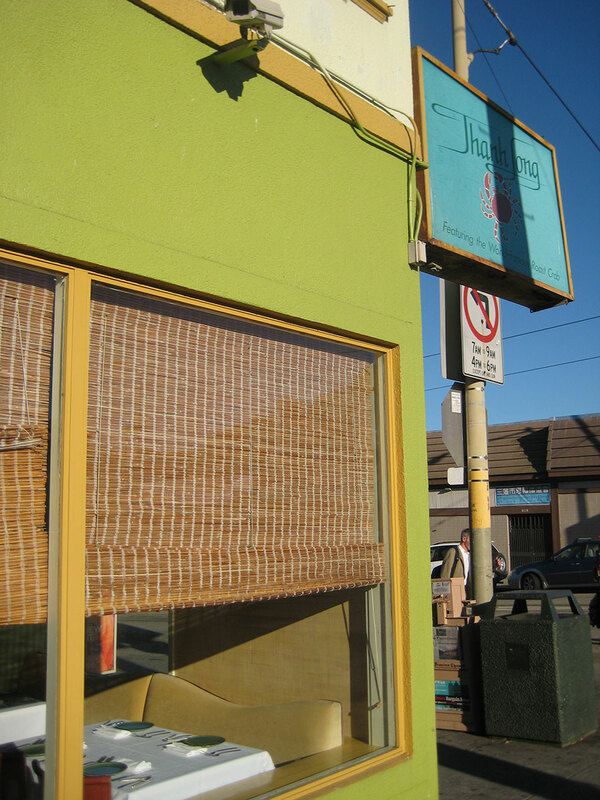 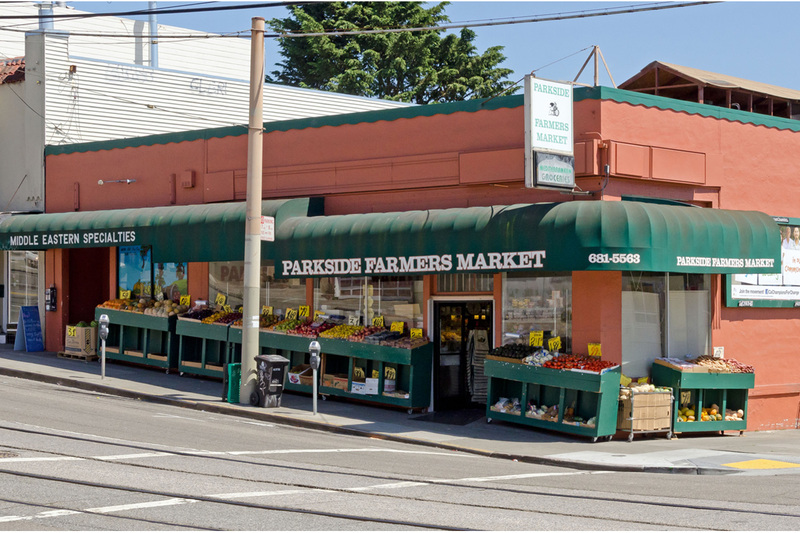 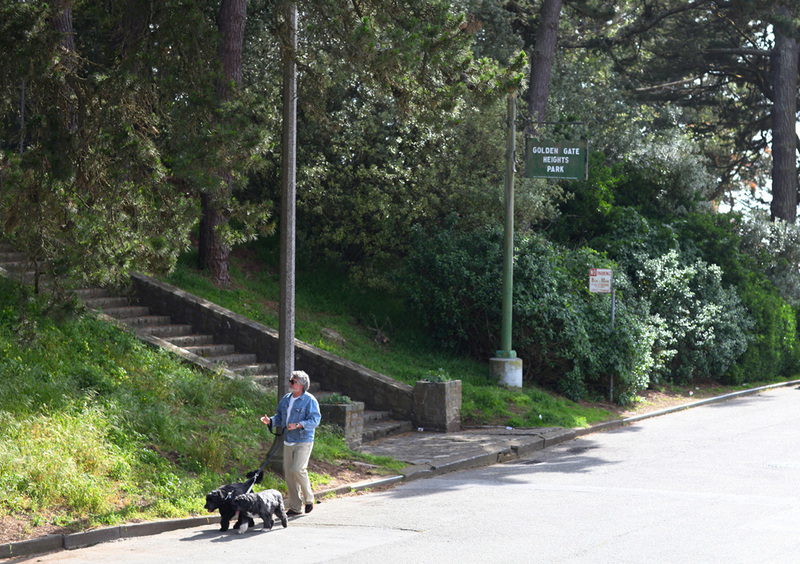 Great access to public trans – MUNI bus stop in the same block, close to MUNI Metro stops in Forest Hill and West Portal. 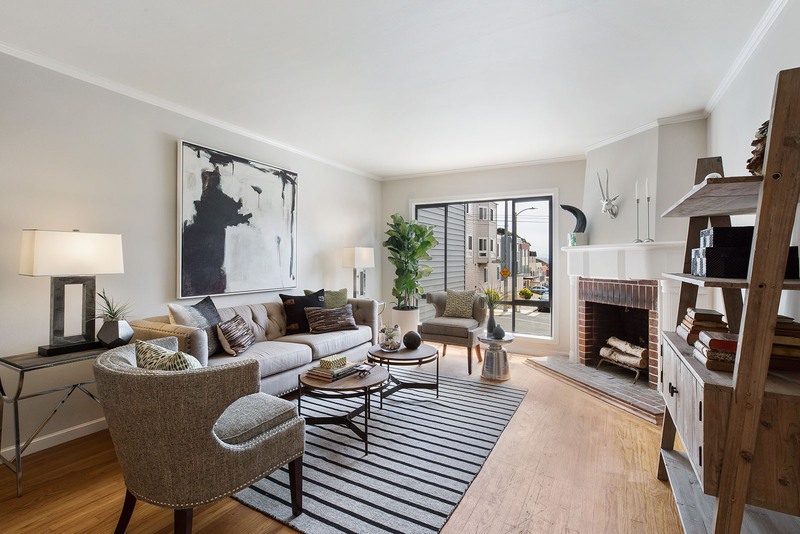 A 78 Transit Score! 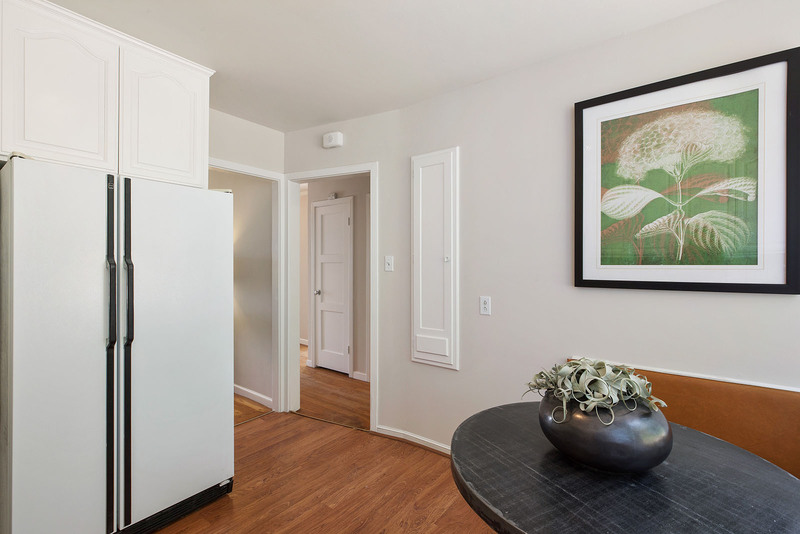 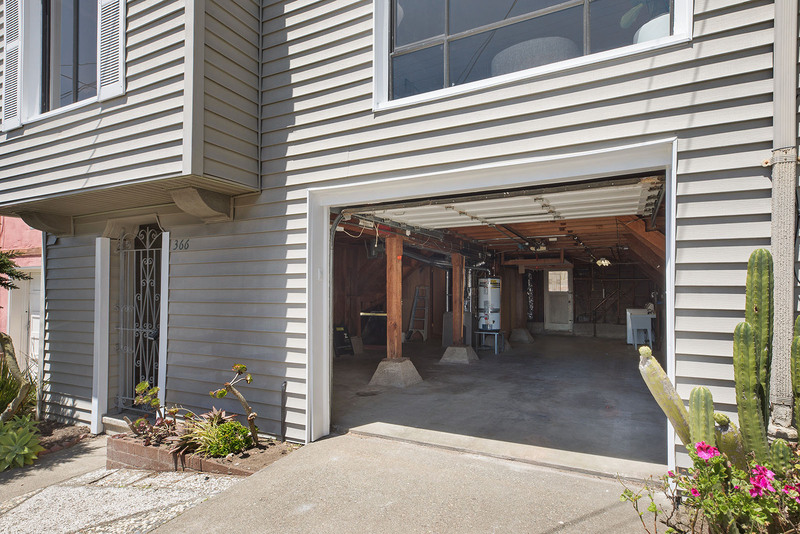 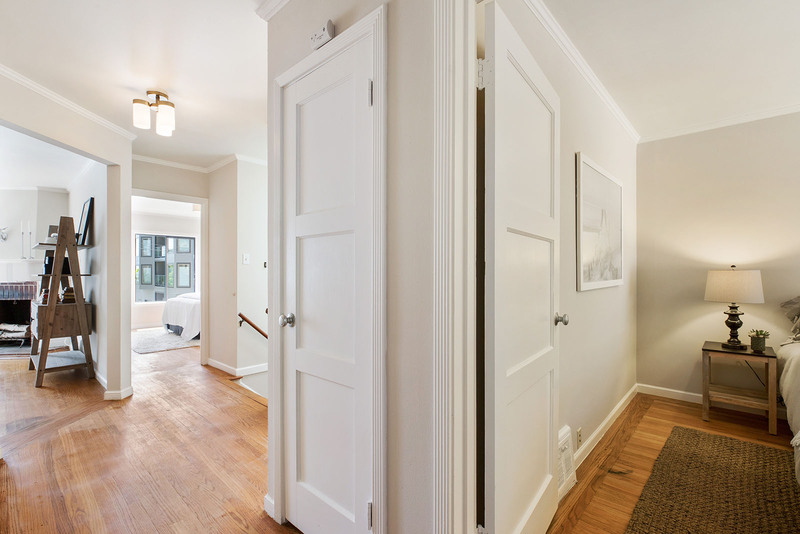 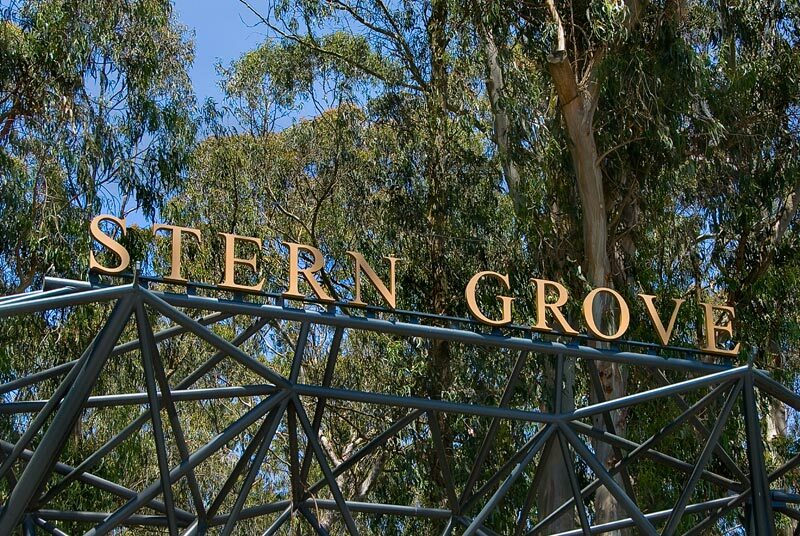 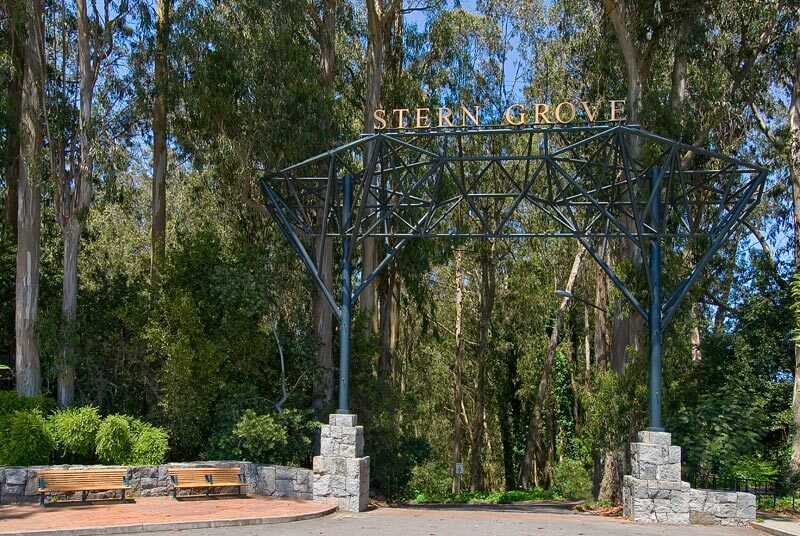 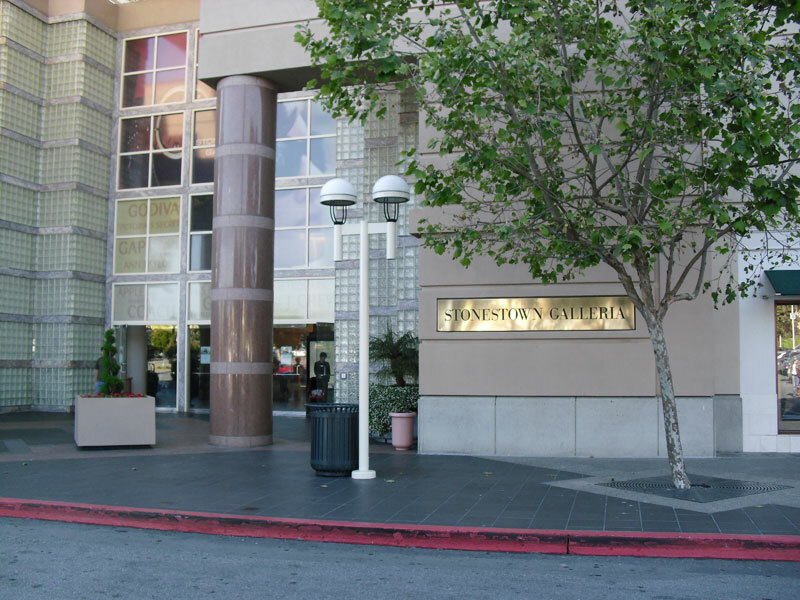 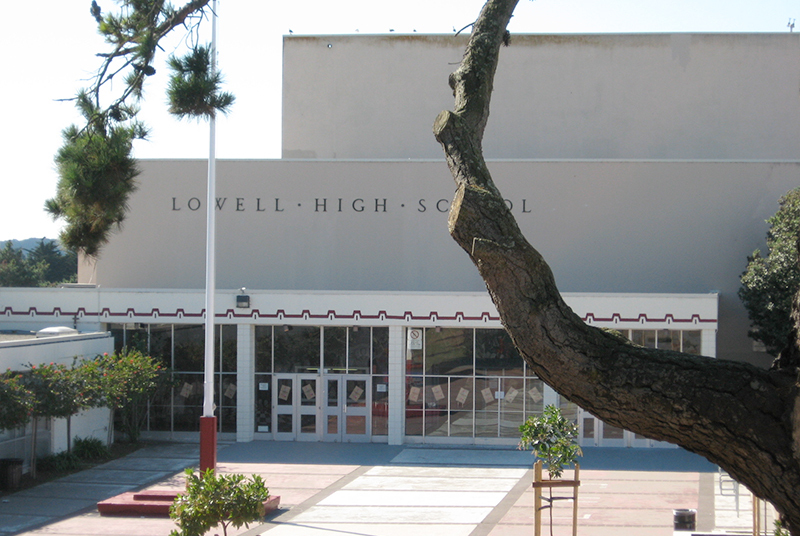 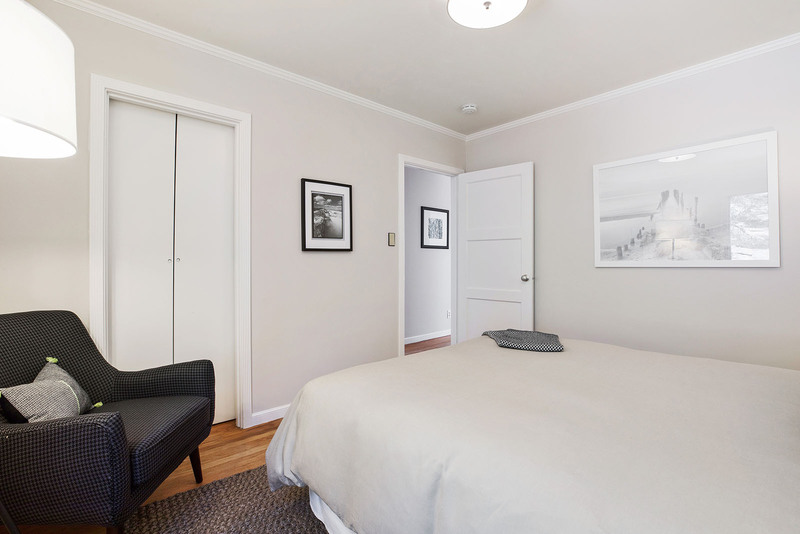 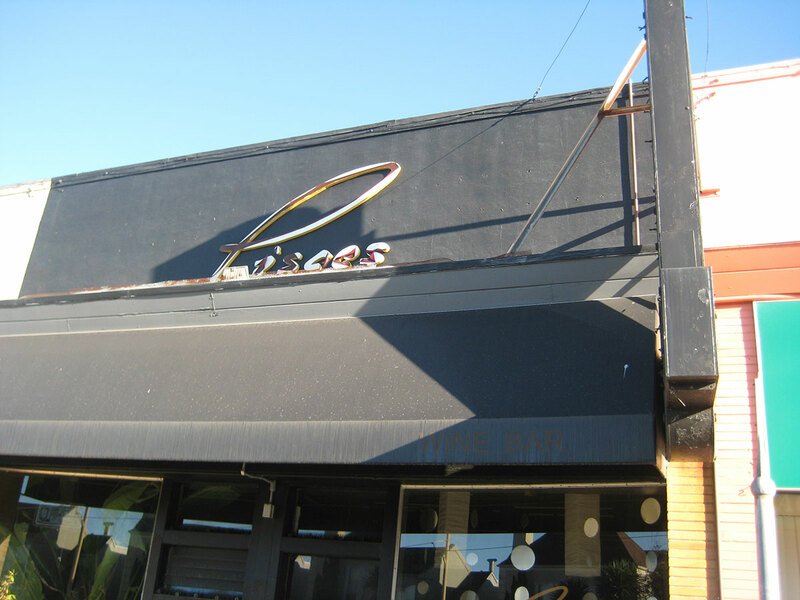 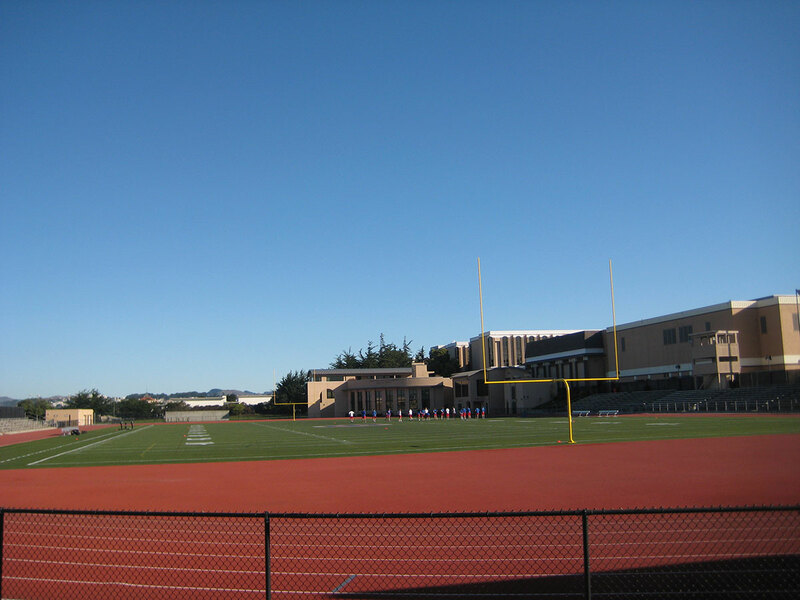 Easy access to 19th Ave. for Peninsula, Silicon Valley, Downtown or Marin commuters! 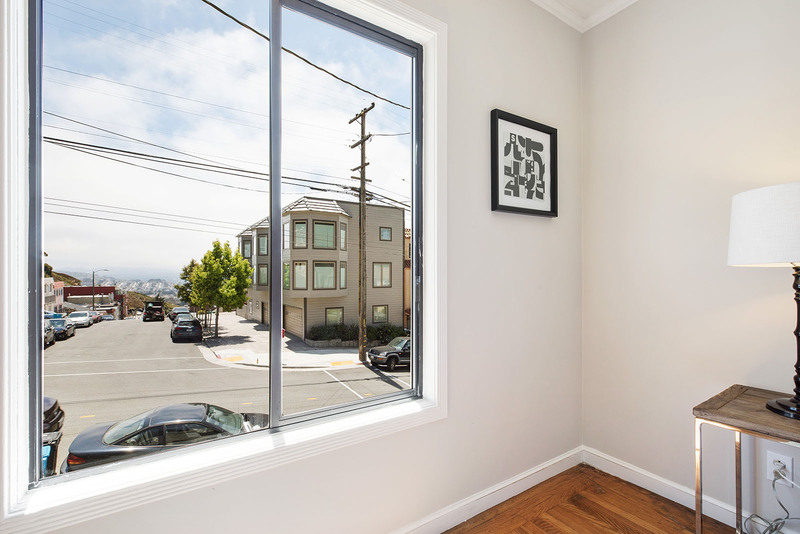 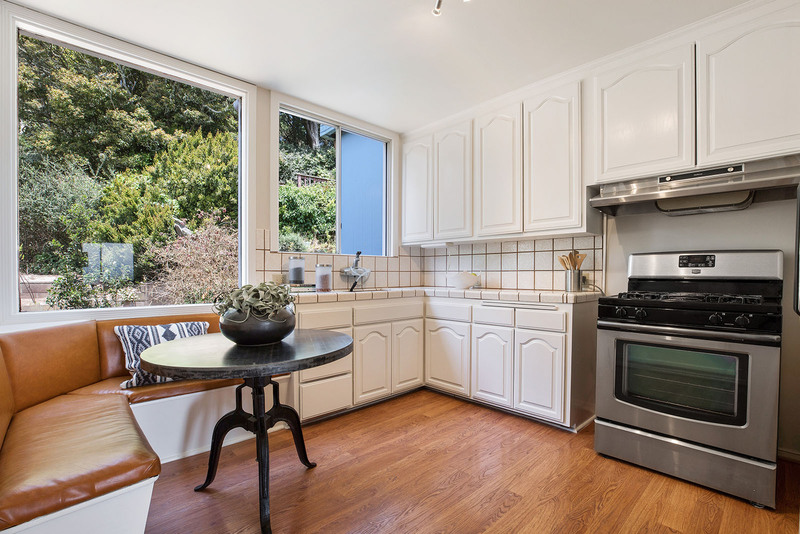 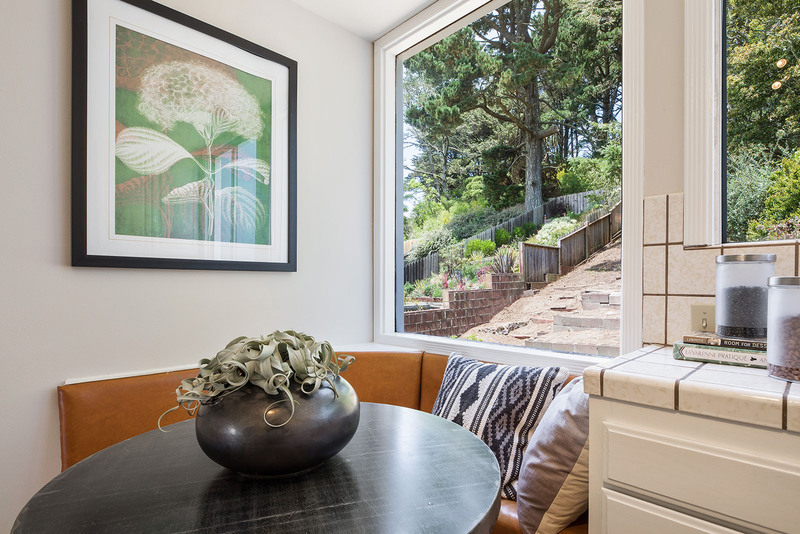 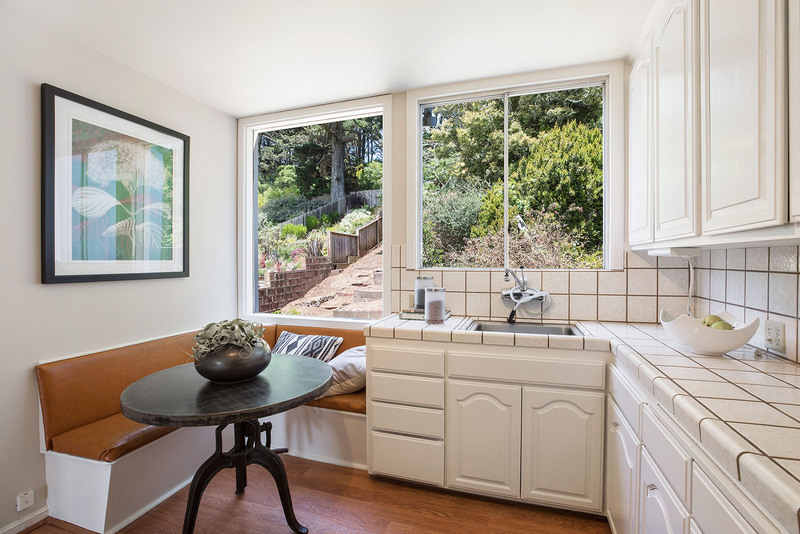 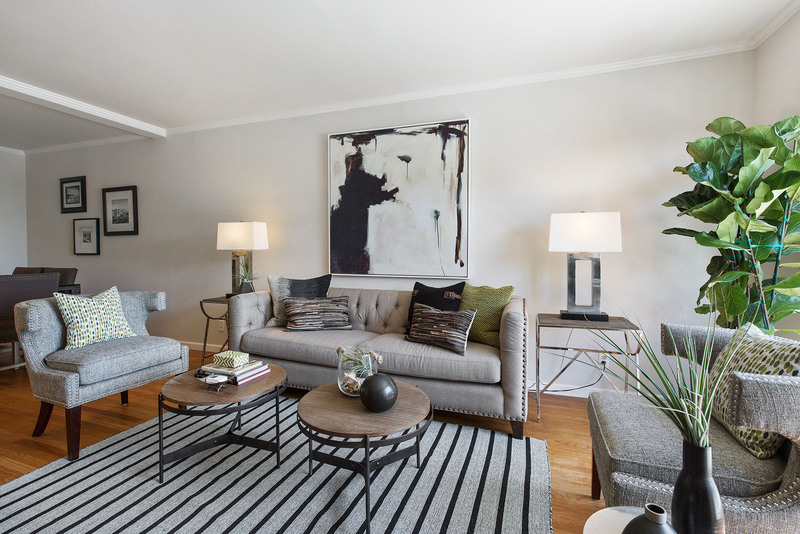 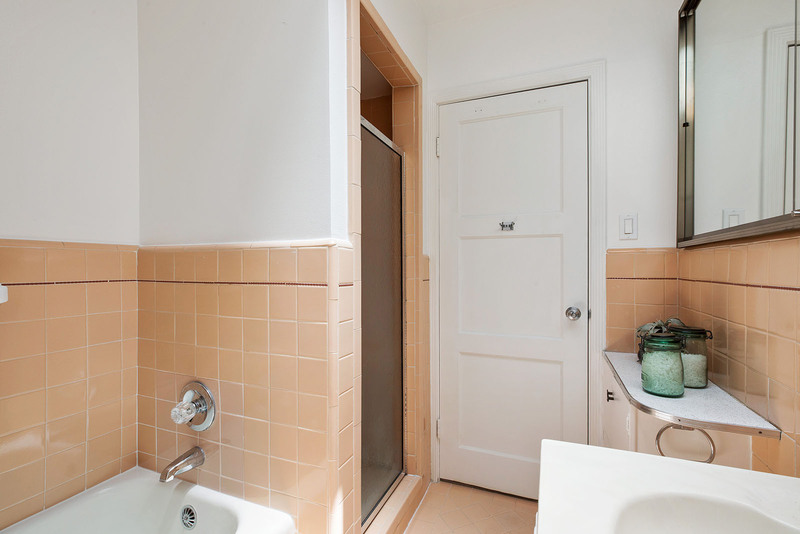 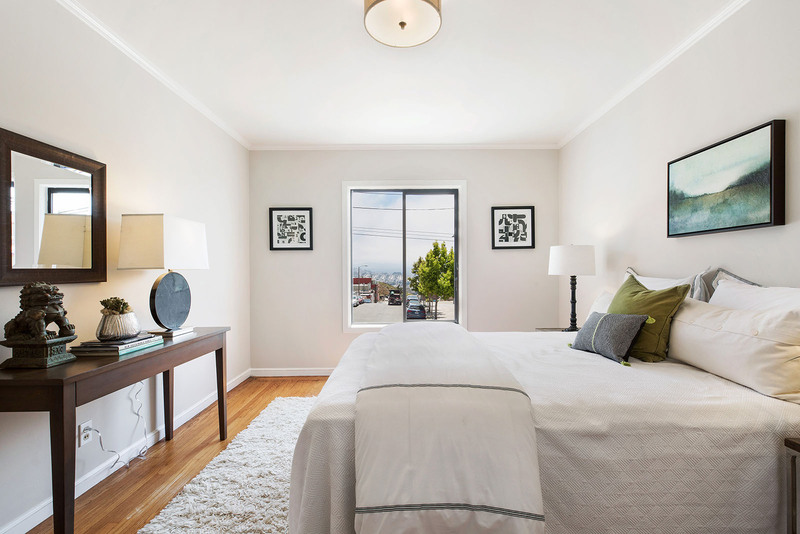 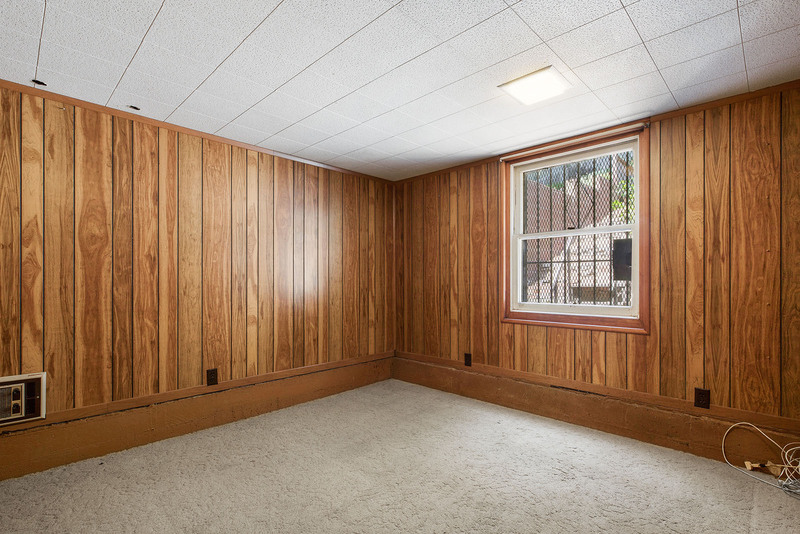 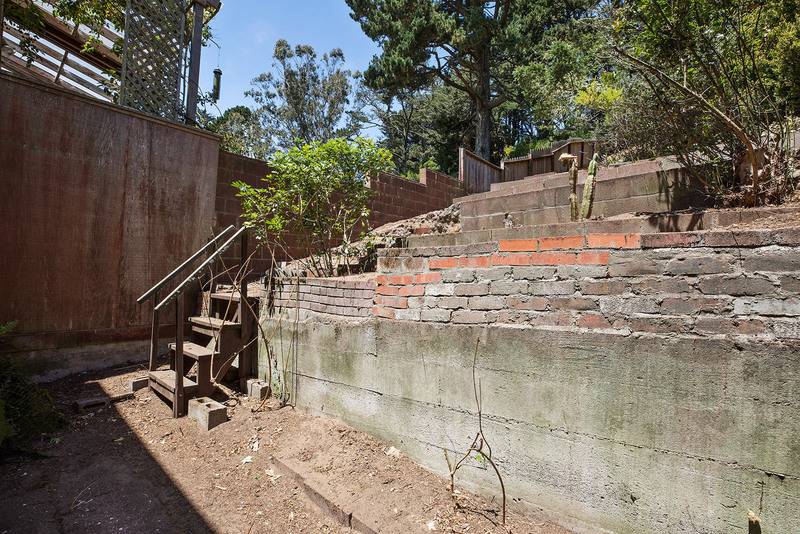 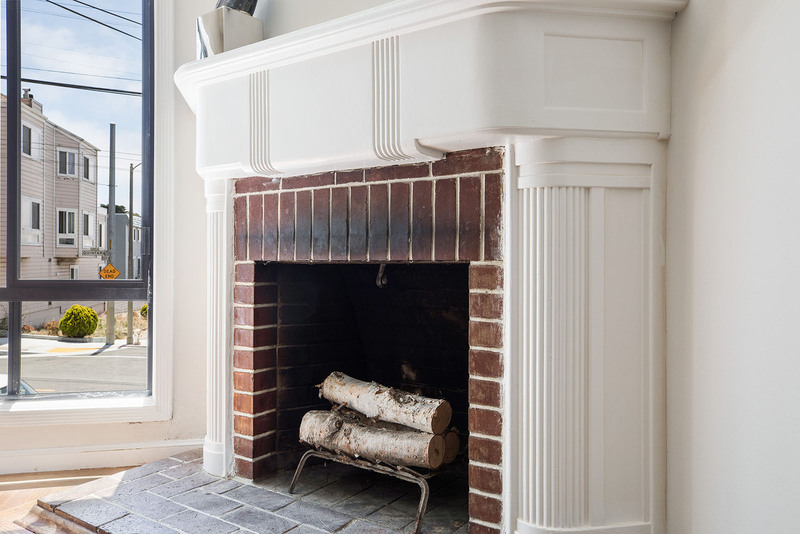 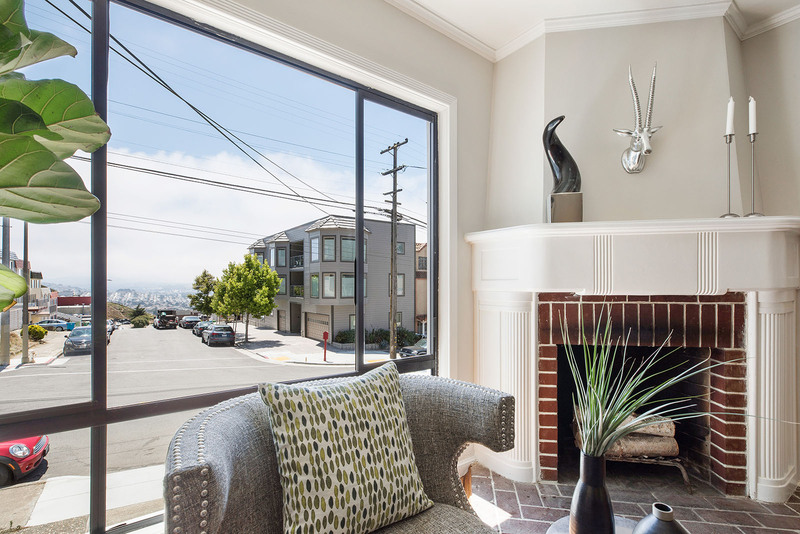 This inviting 1940’s home is conveniently located in the heart of Golden Gate Heights and walkable to the Inner Parkside. 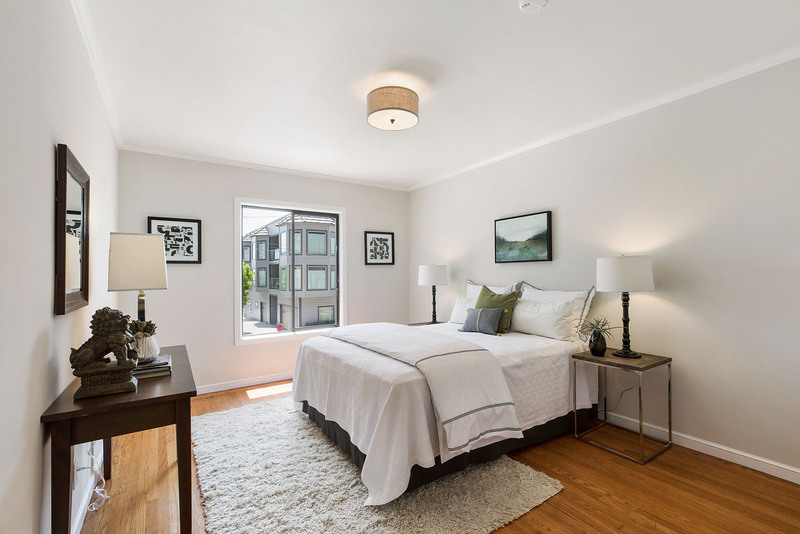 An urban oasis that backs up to open space, the property features a flowing floor plan with nicely sized rooms, crown molding and large view windows! 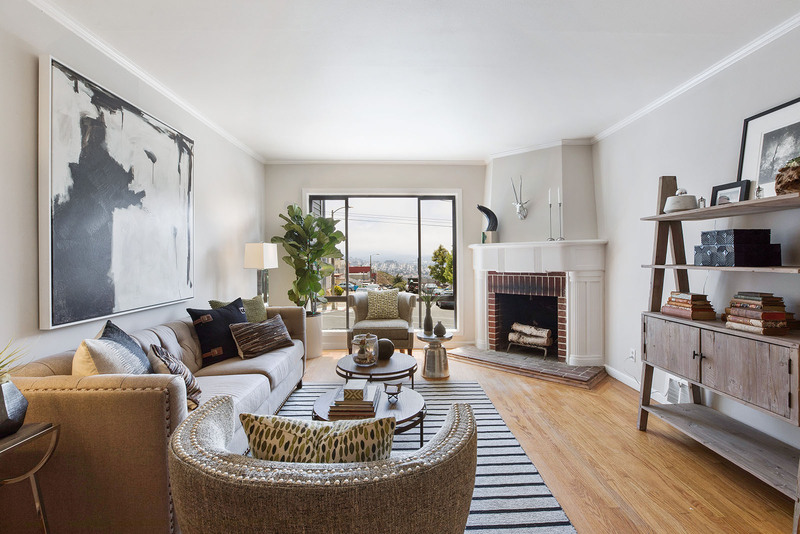 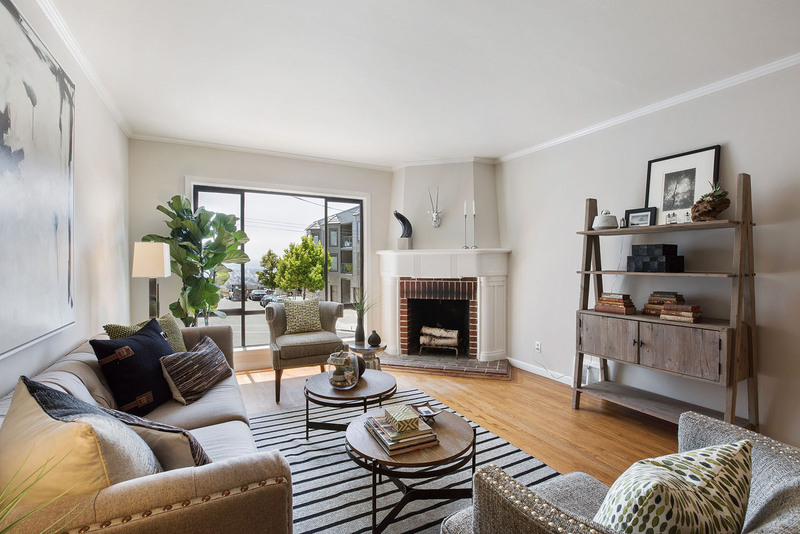 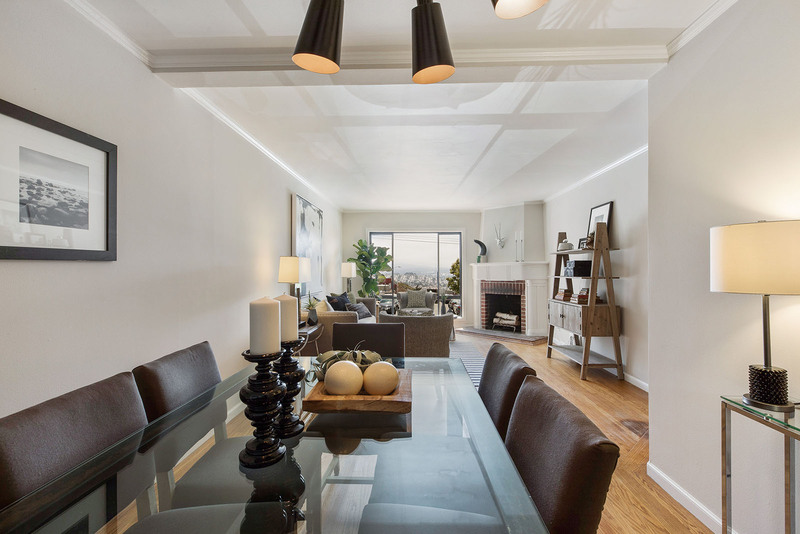 The spacious living room boasts a wood burning fireplace and gorgeous city view! 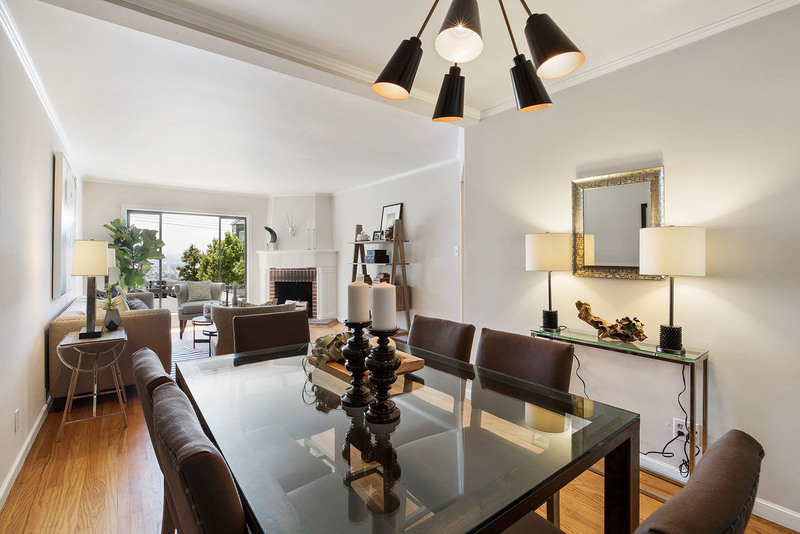 The open living room and dining room are a wonderful place to entertain friends and family. 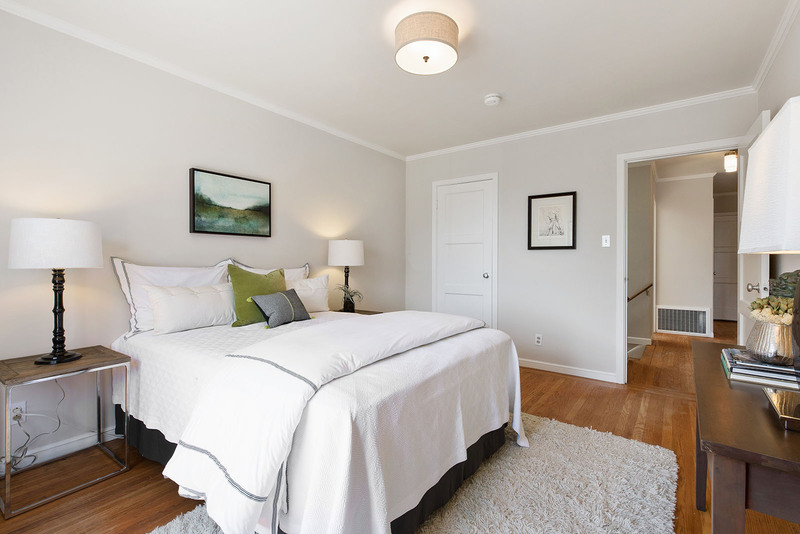 Both sunny bedrooms feature lovely outlooks. 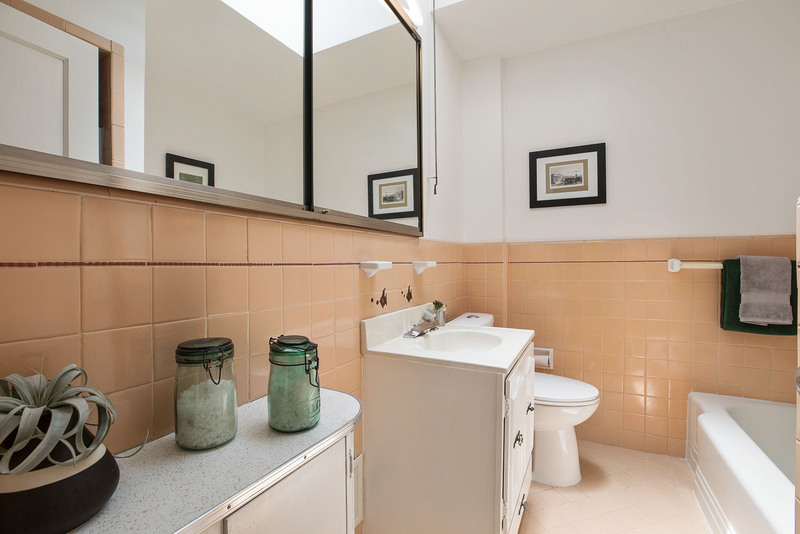 The large sky-lit bathroom features both a shower and bath tub. 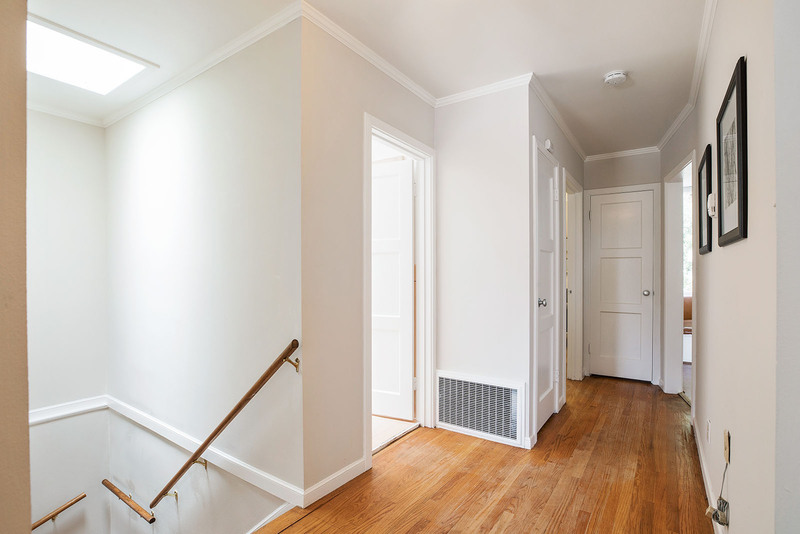 Lovely hardwood floors and multiple skylights throughout the house add to the home’s great charm! 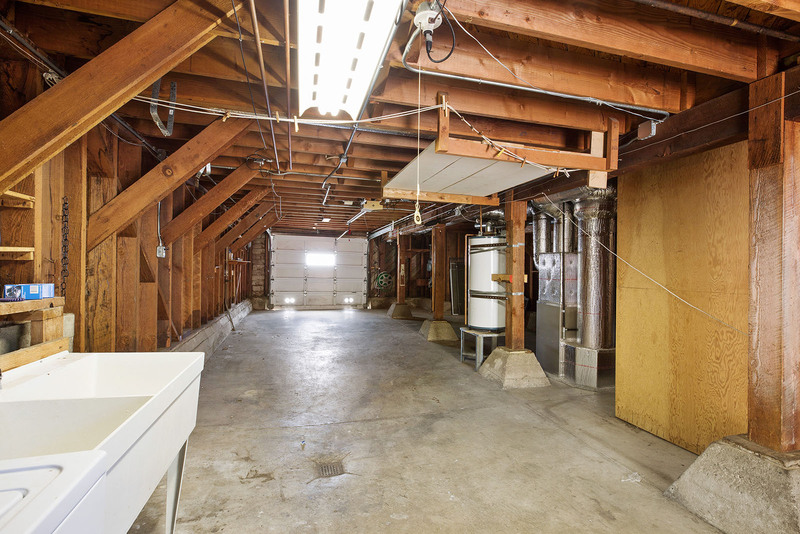 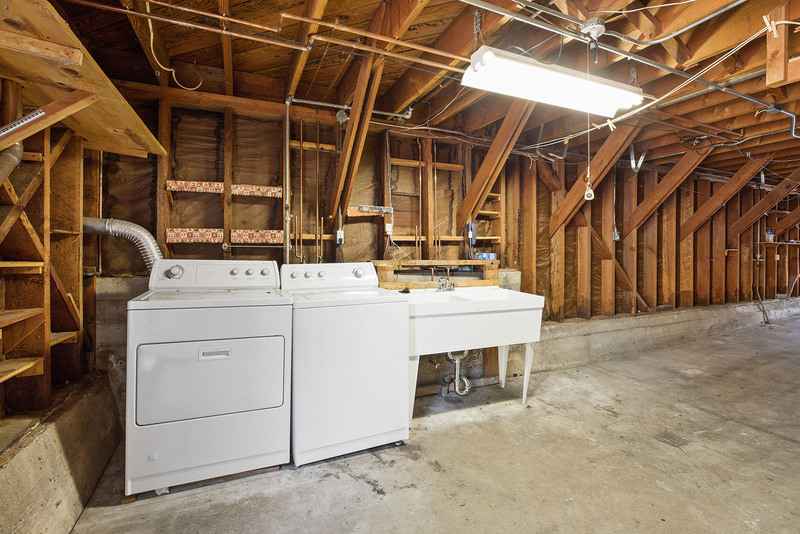 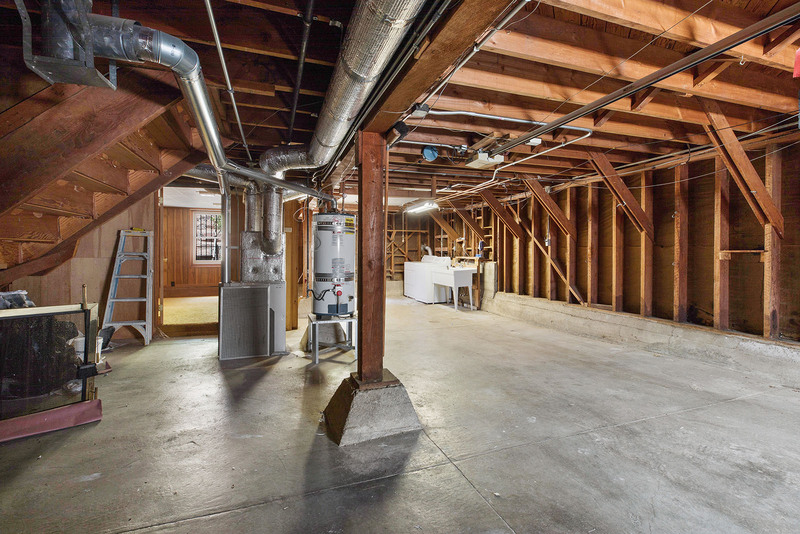 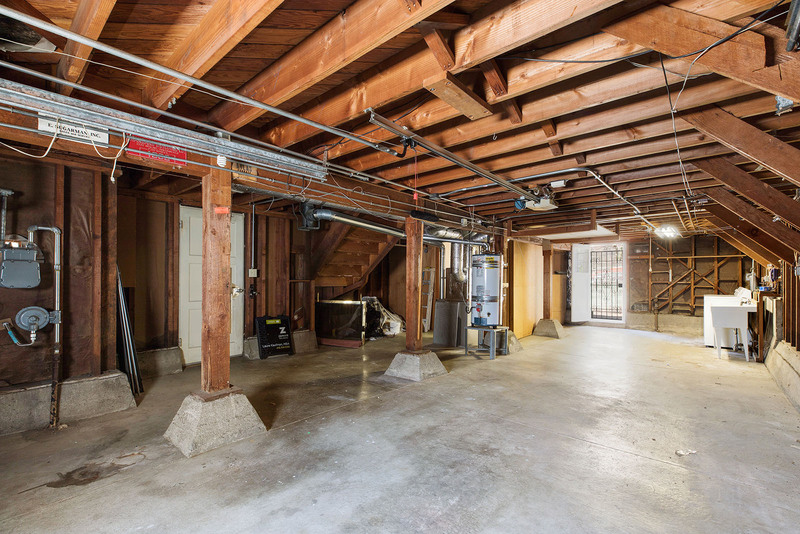 Enjoy the one-car garage with laundry area, bonus room and abundant storage space. 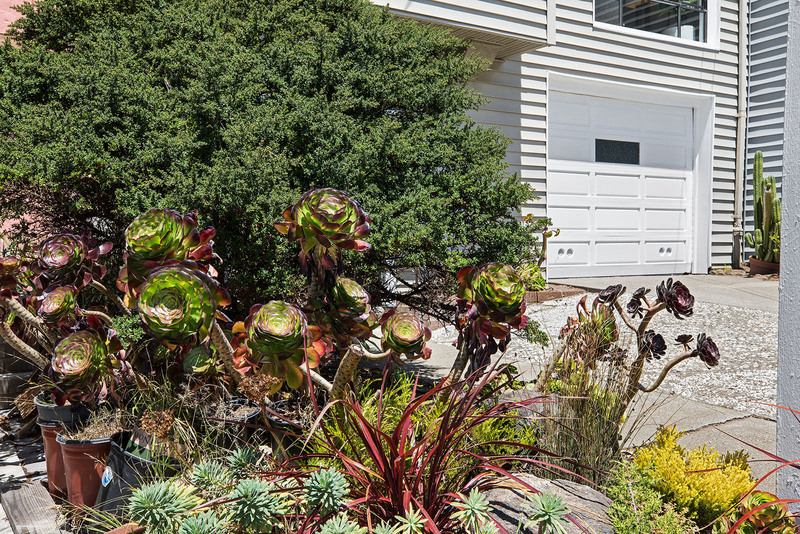 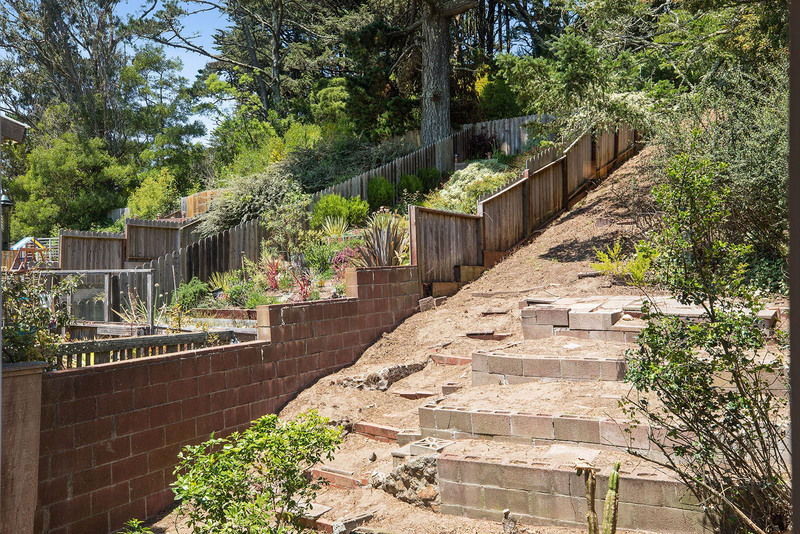 The terraced back yard is full of wonderful landscaping opportunities. 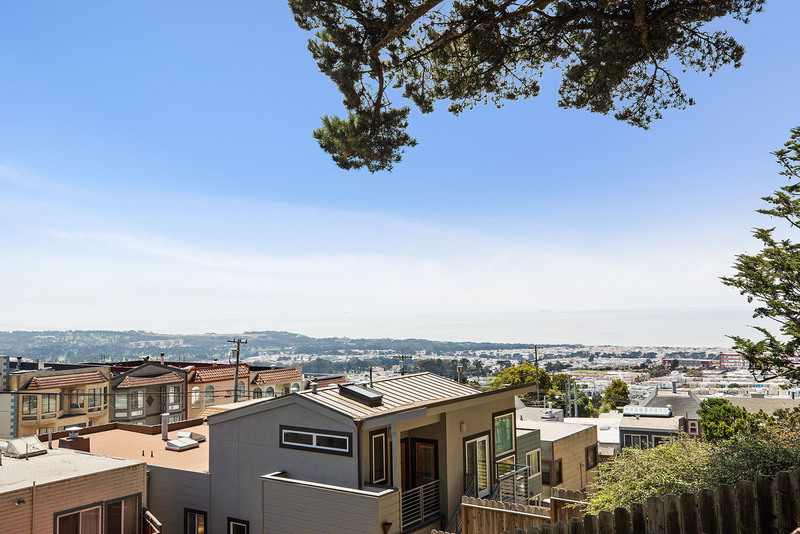 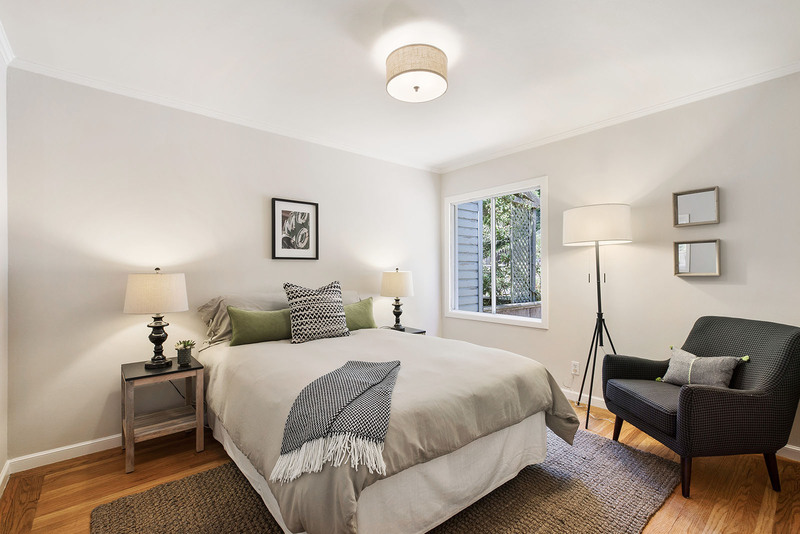 Thanks to its central location, a major benefit of this dwelling is great access to the Sunset, Forest Hill, West Portal, Forest Knolls and Midtown Terrace neighborhoods. 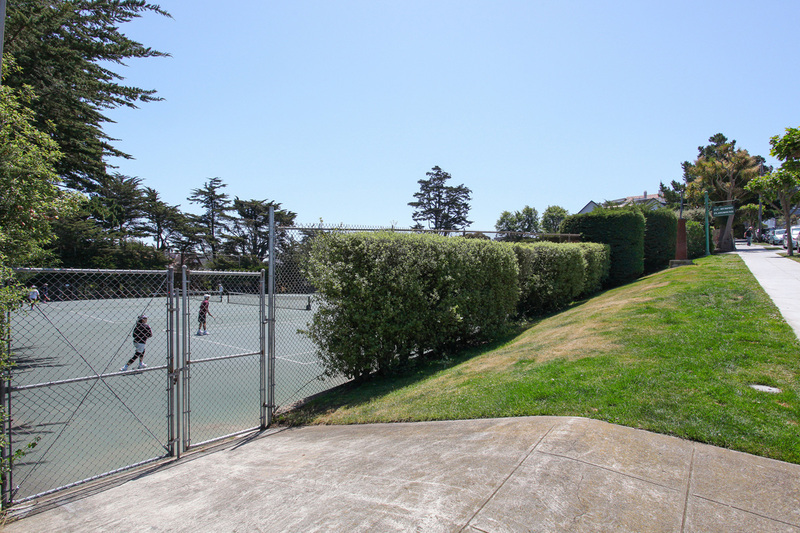 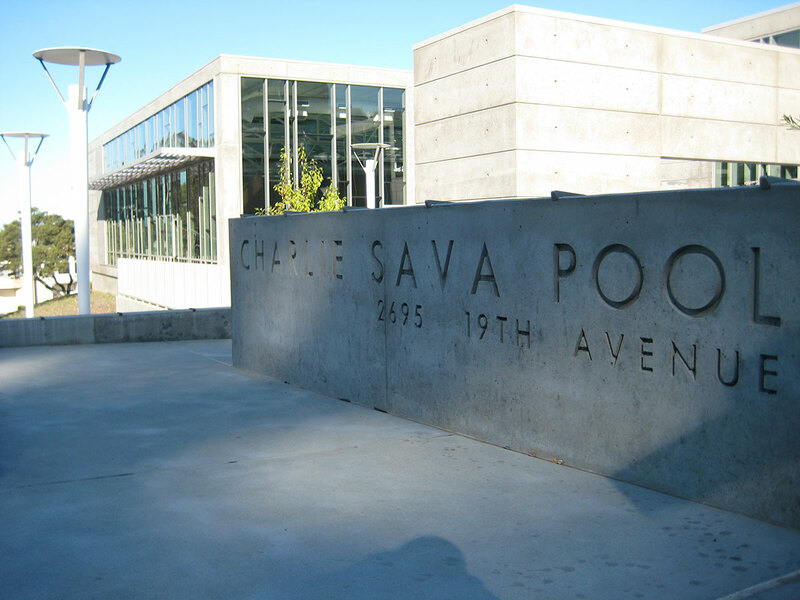 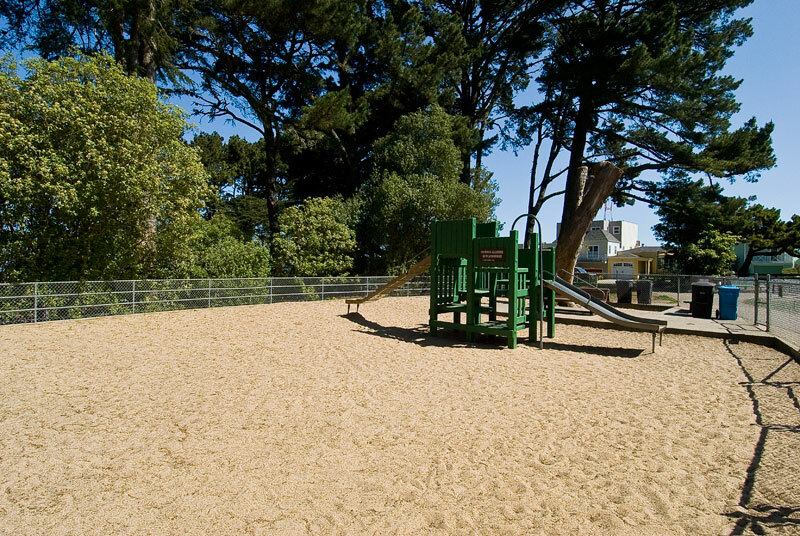 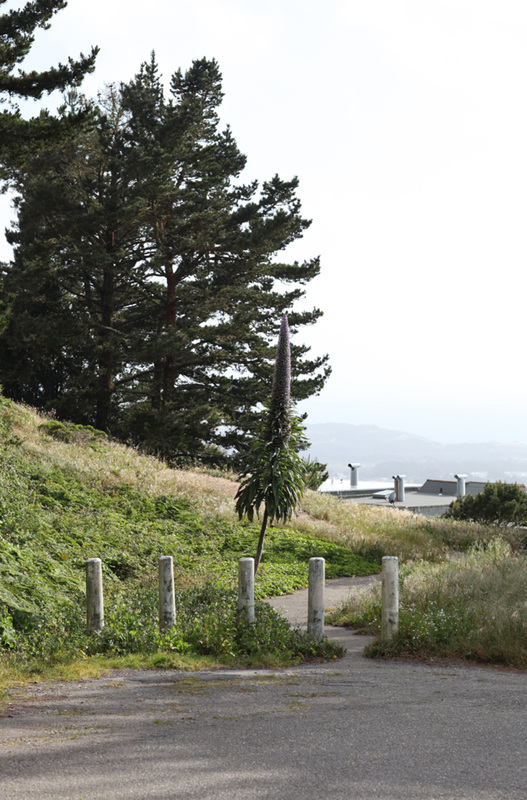 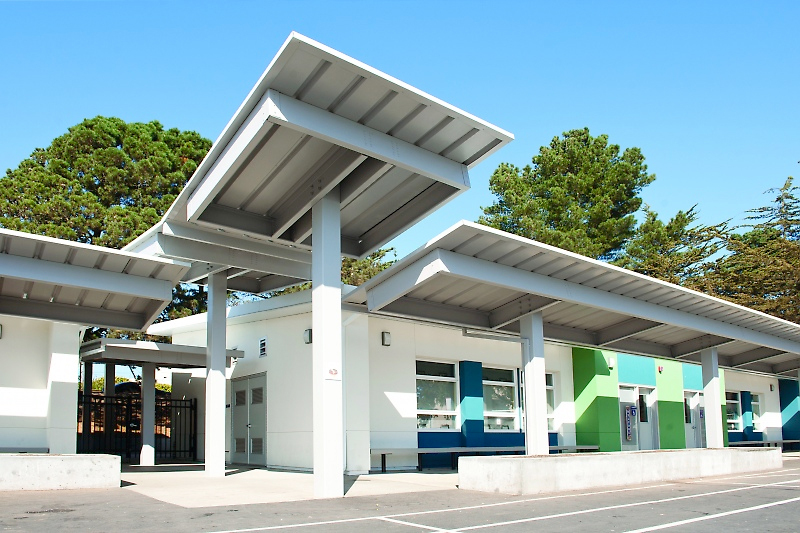 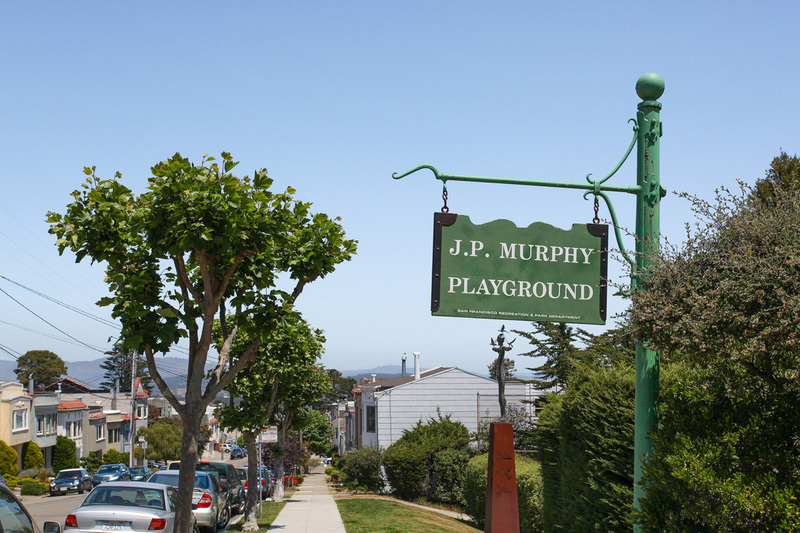 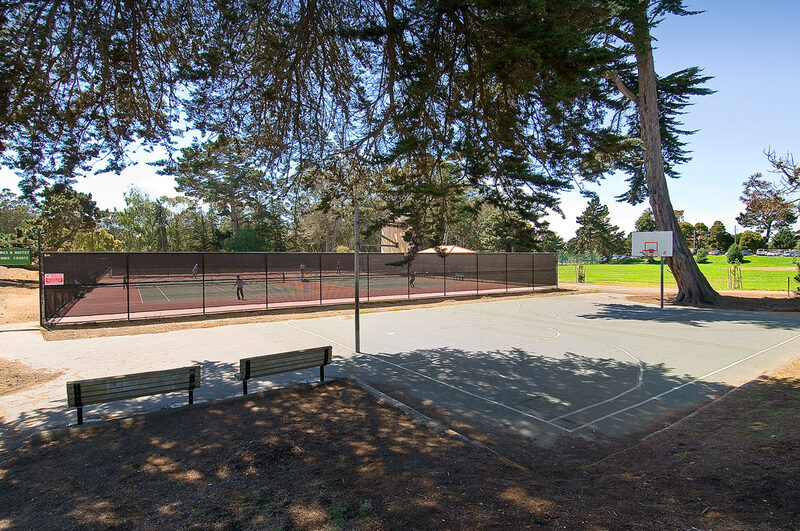 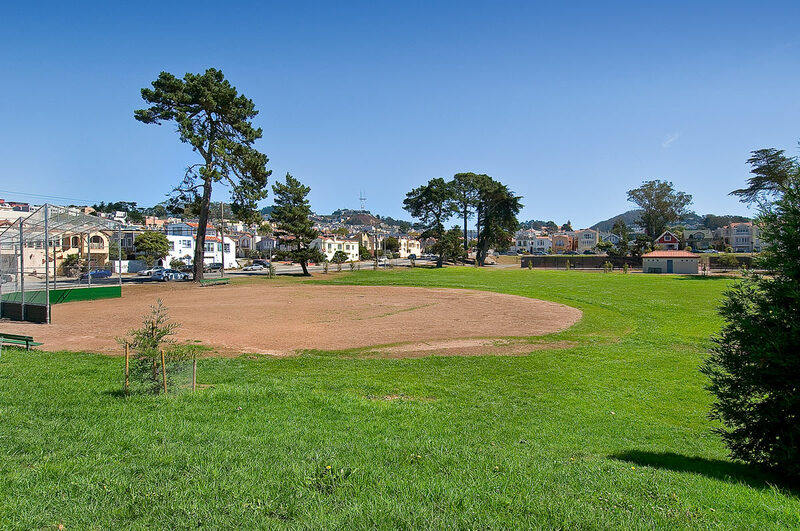 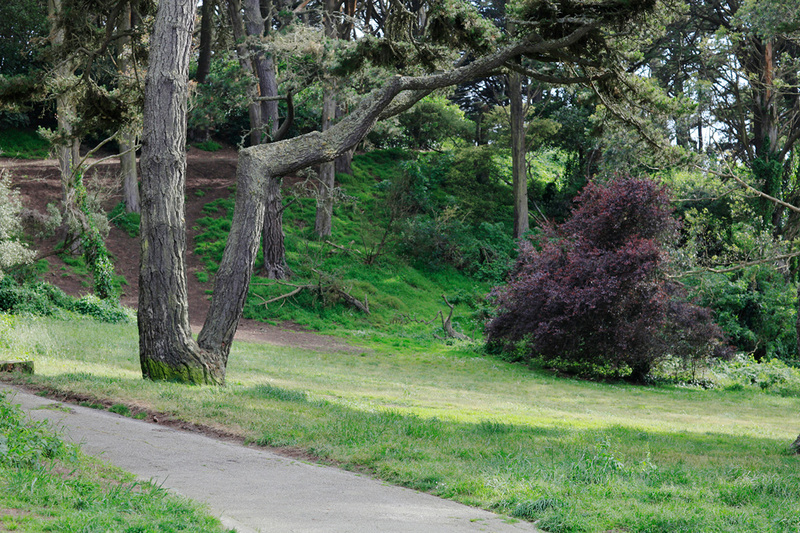 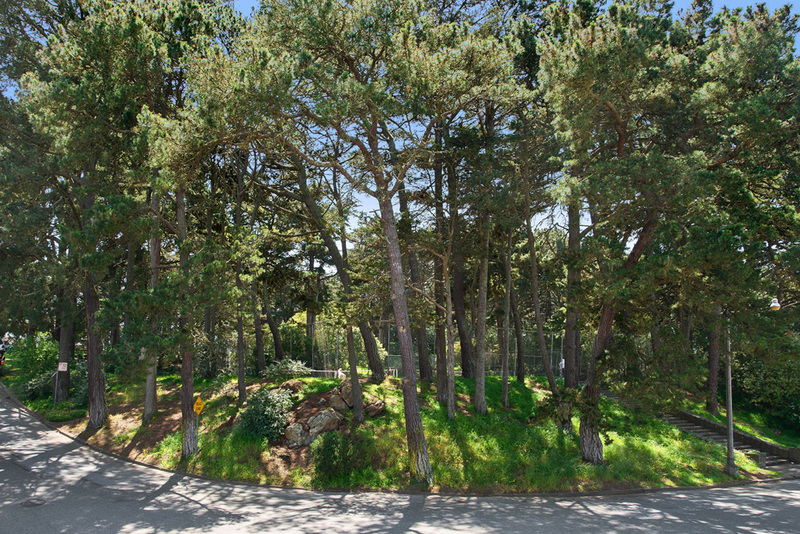 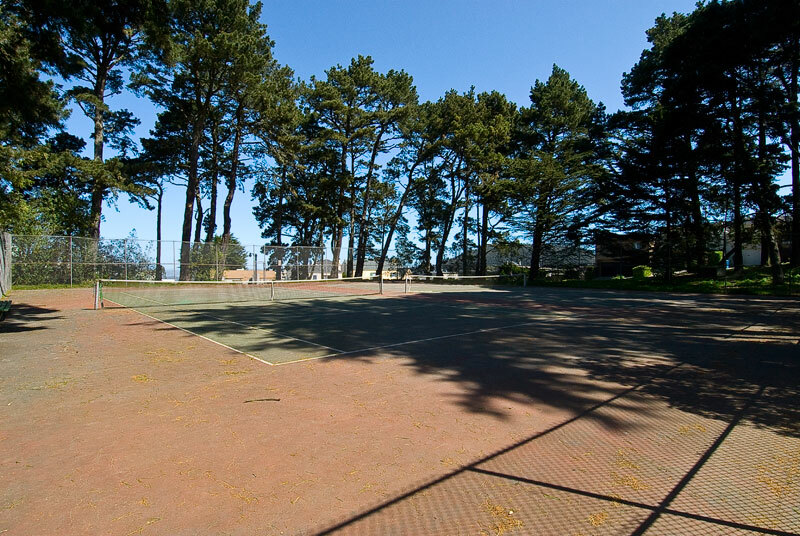 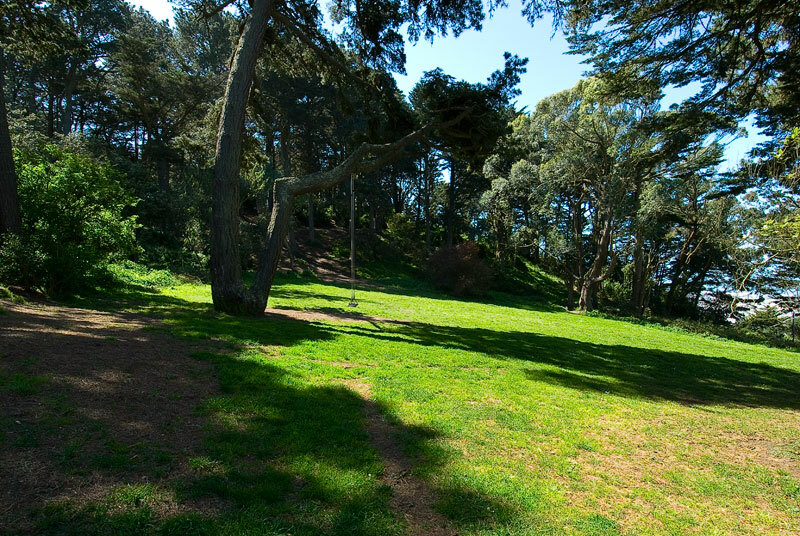 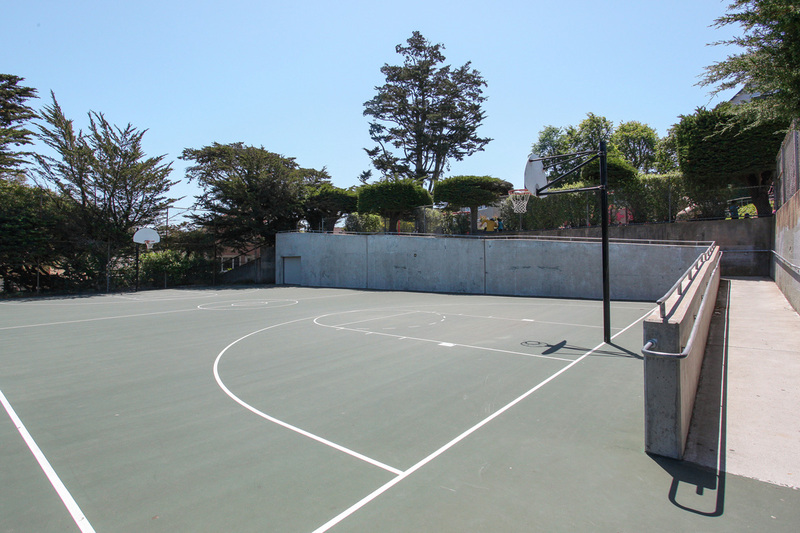 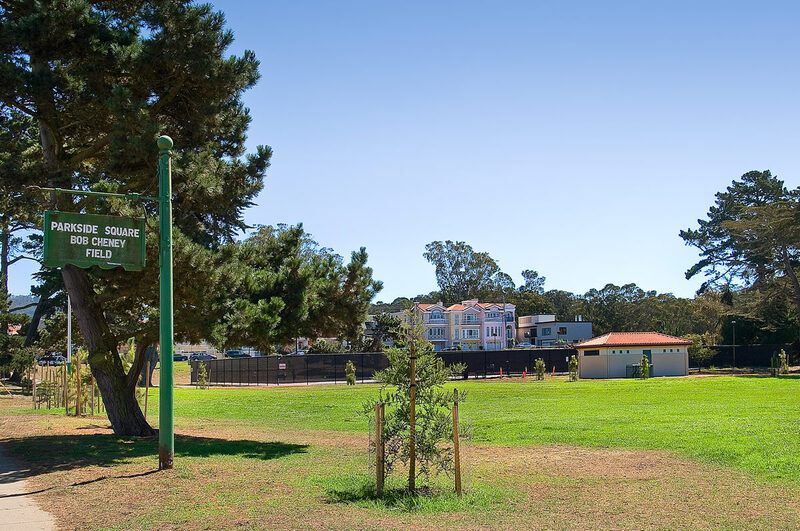 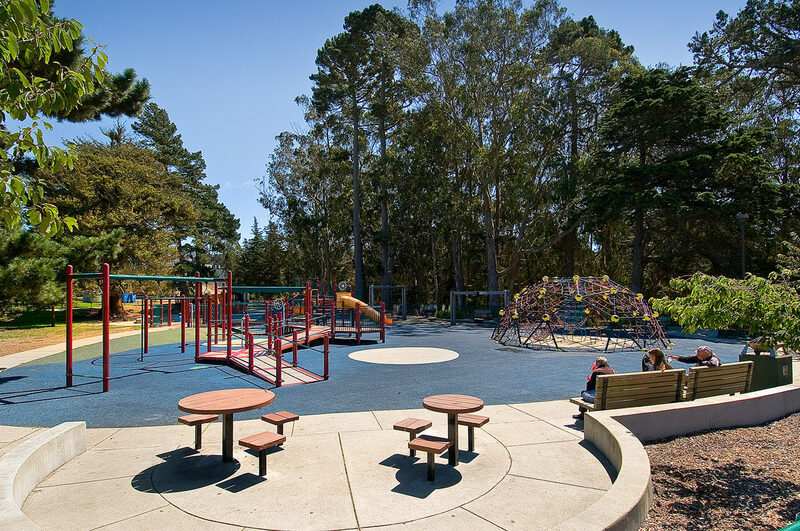 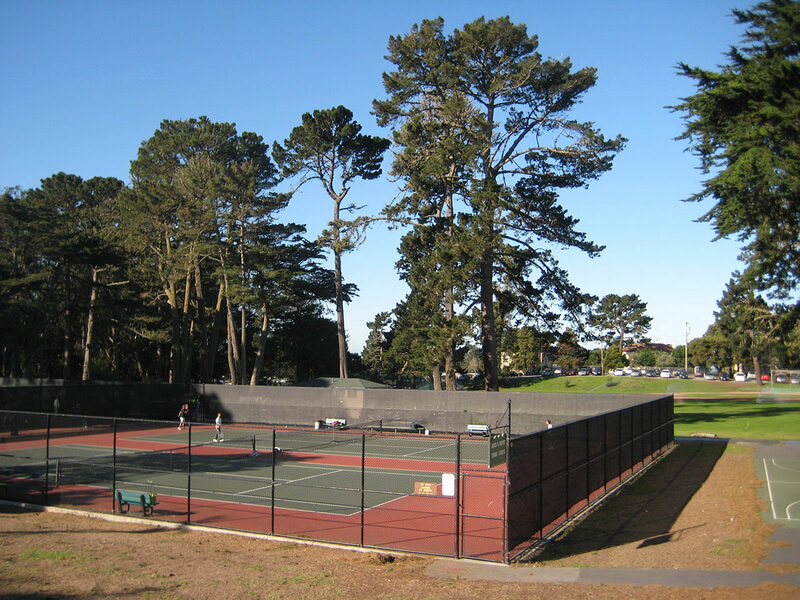 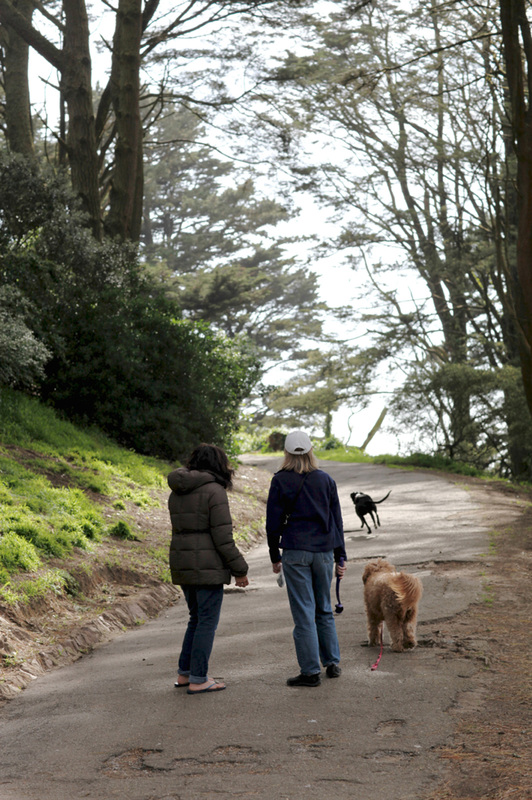 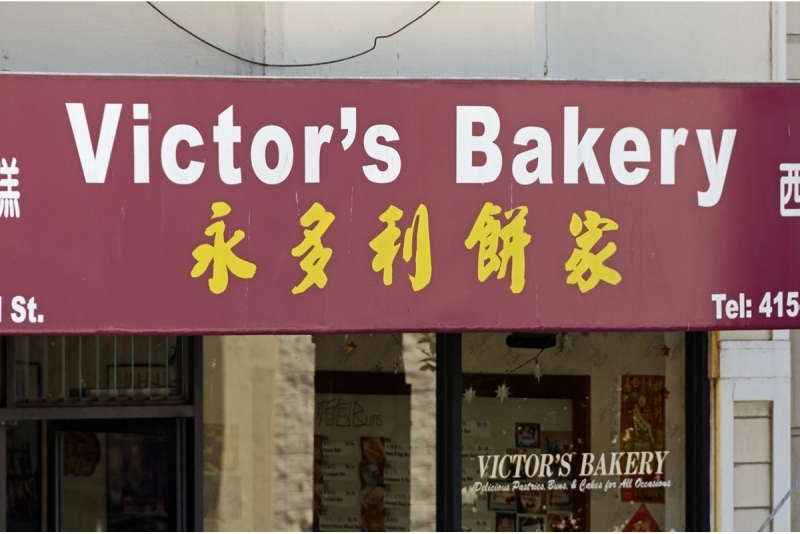 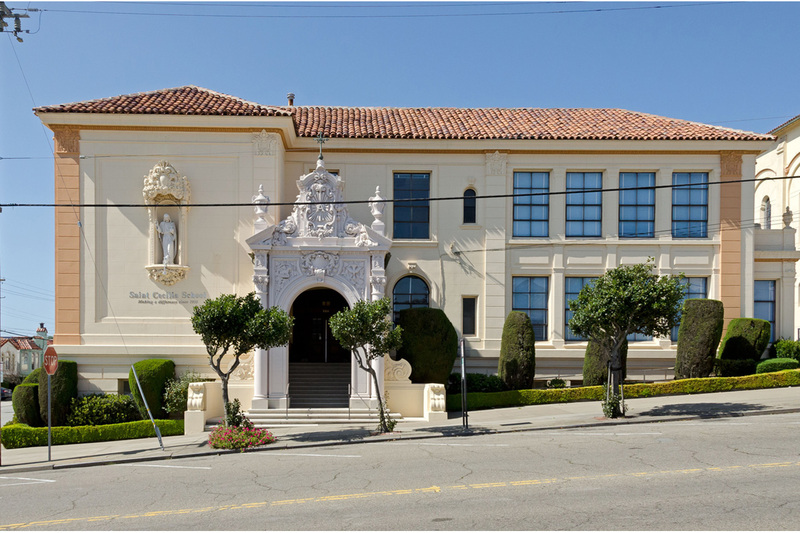 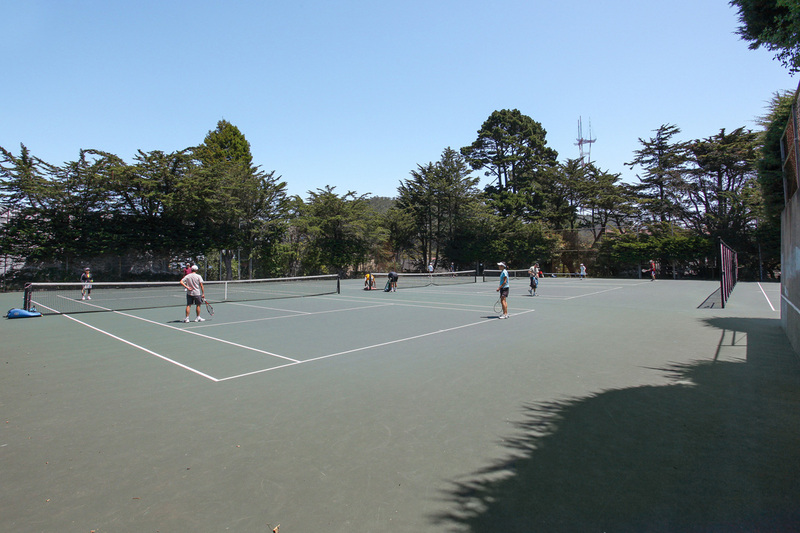 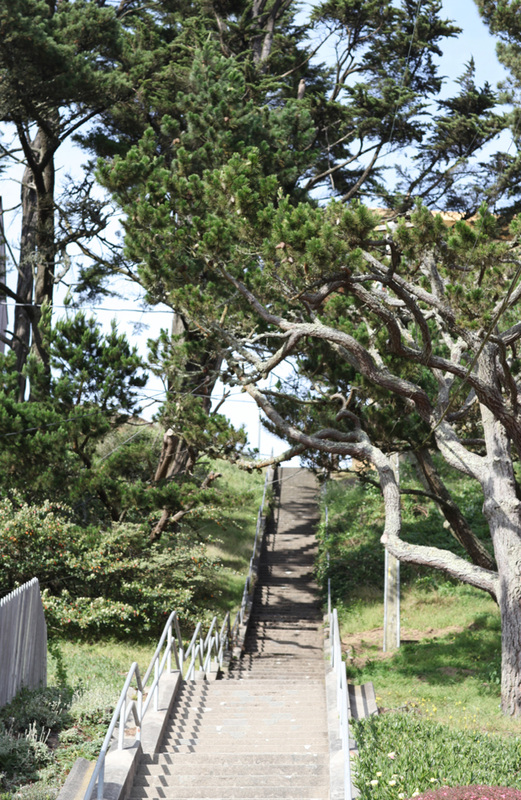 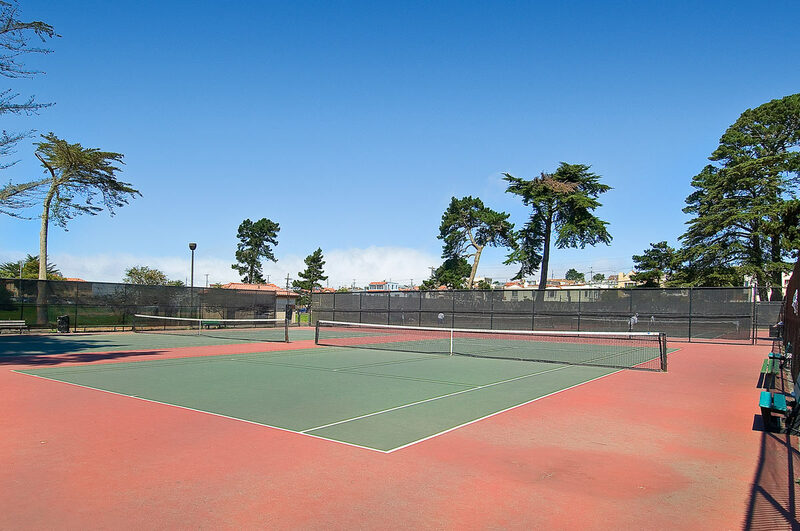 It is also just steps from two neighborhood parks (Golden Gate Heights Park/Larsen Peak and Hawk Hill Park), and is less than half a mile to Murphy Playground, which features a children’s play area, as well as tennis and basketball courts. 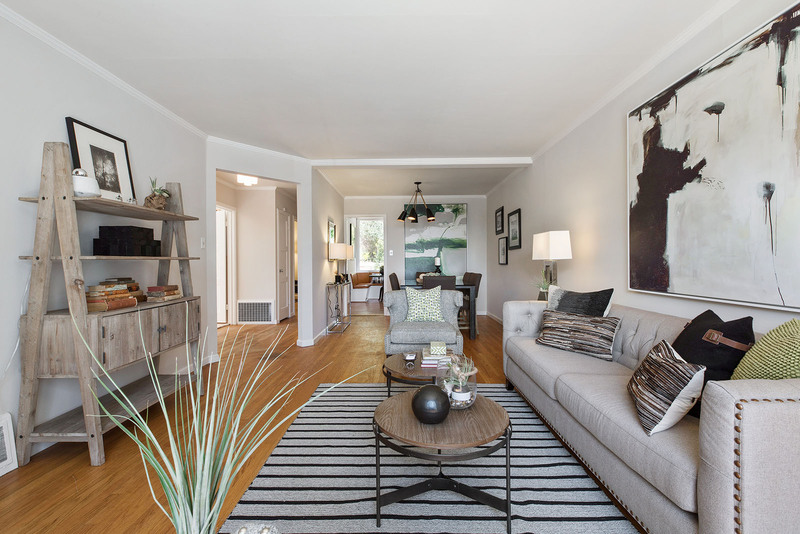 This home is ideally situated with excellent public transportation access (78 Transit Score) and commuter access, being just blocks to 19th Avenue, making it easy for Silicon Valley, Downtown or Marin commuters. 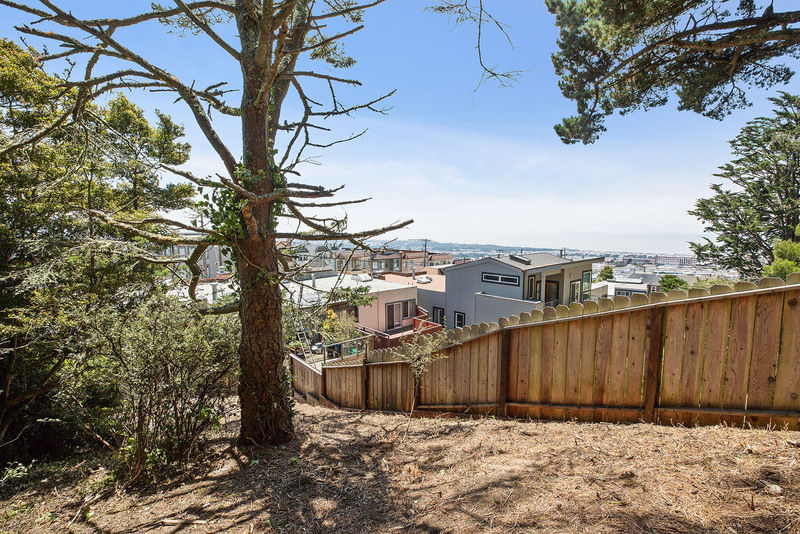 Numerous local schools are walkable, and this home is also close to numerous neighborhood dining and shopping options, including Safeway, Trader Joe’s and a plethora of restaurants and cafes. 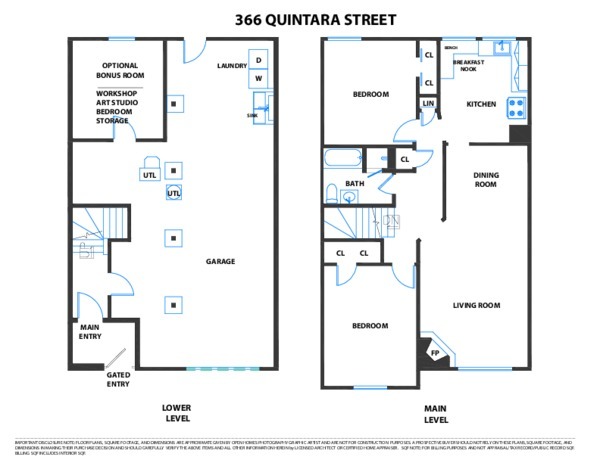 Here is the perfect opportunity for an investor or first-time buyer! 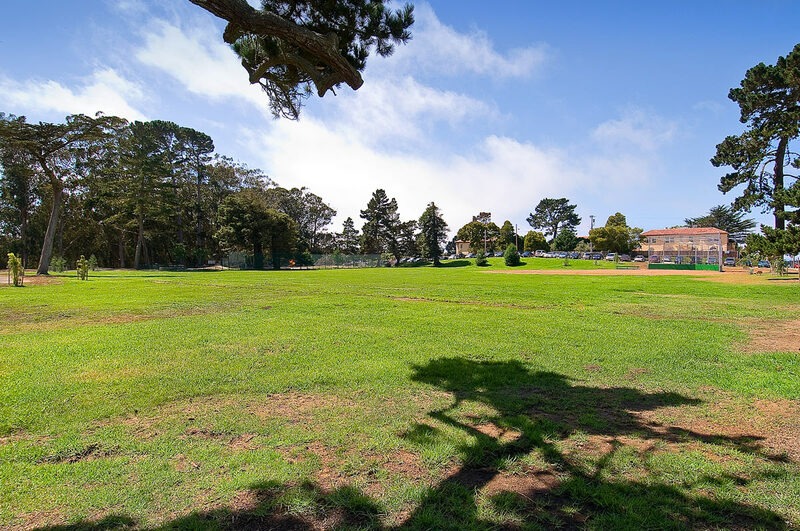 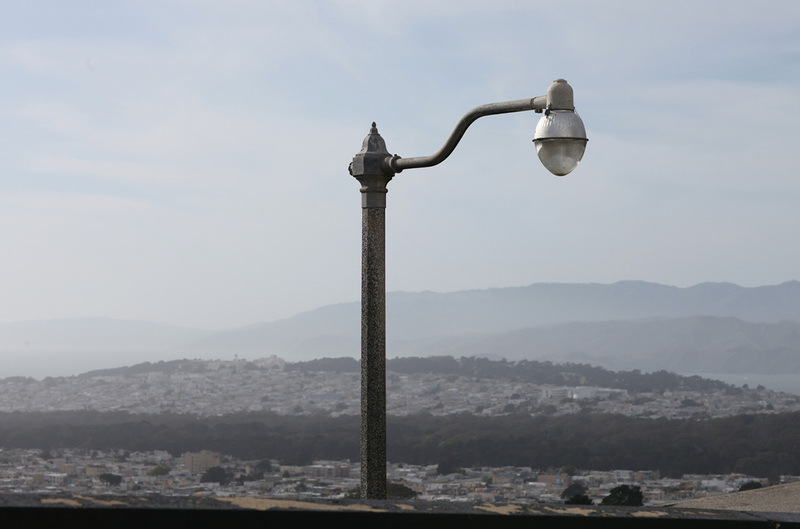 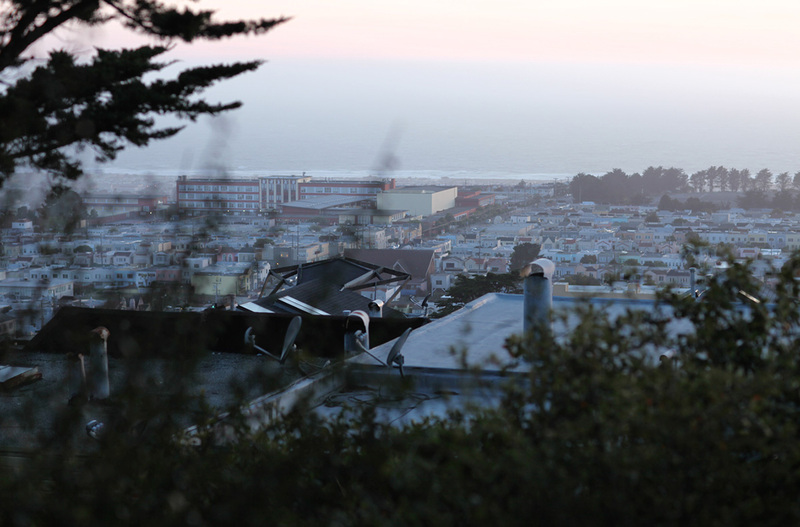 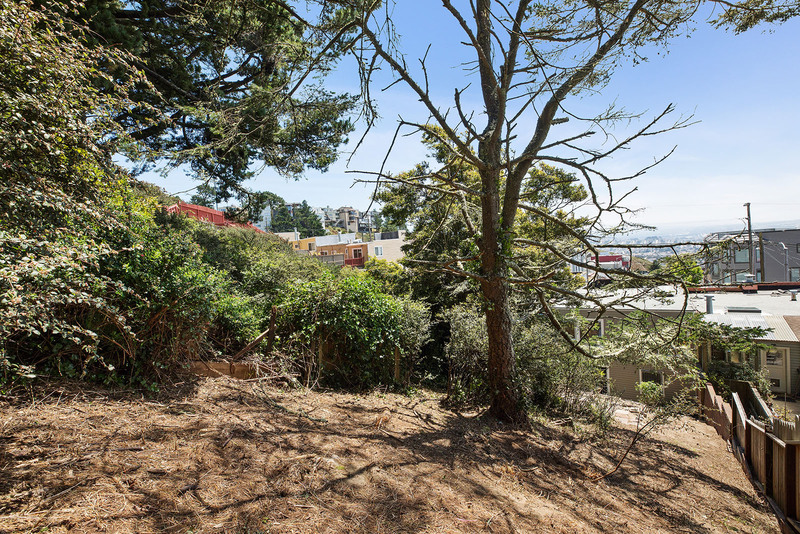 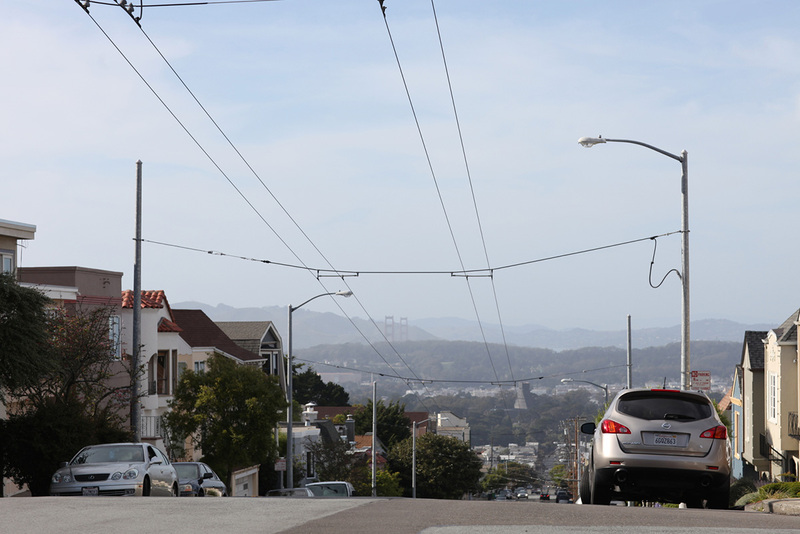 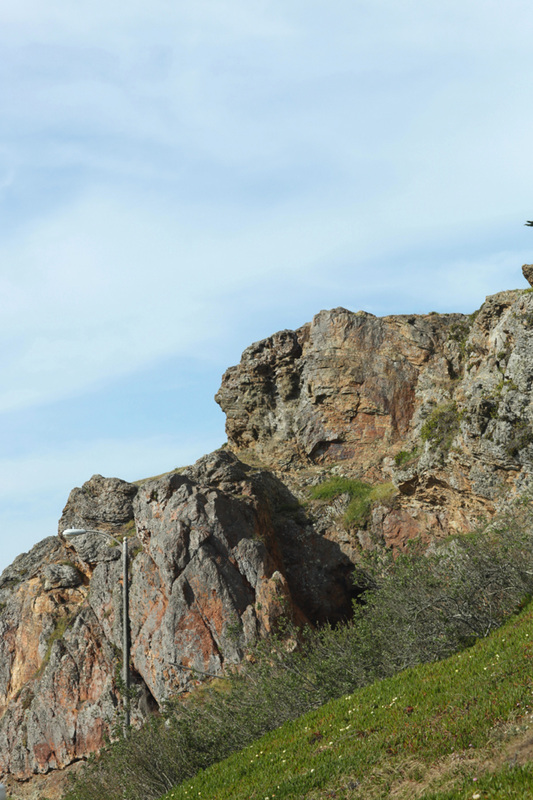 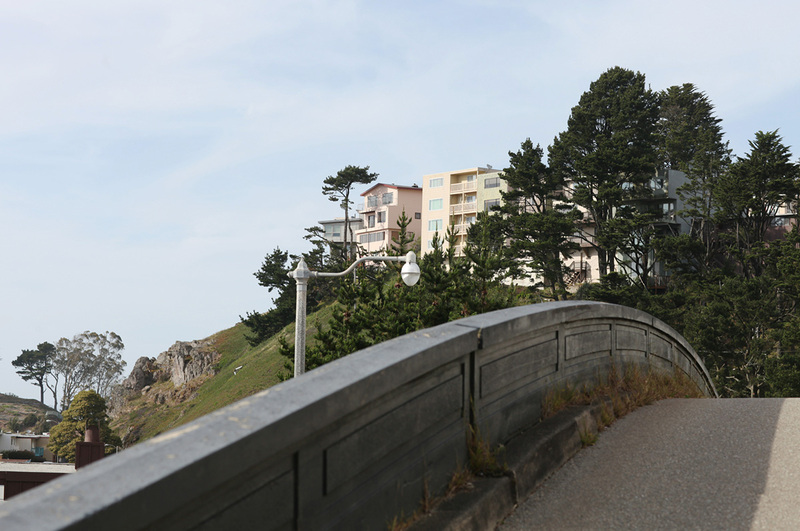 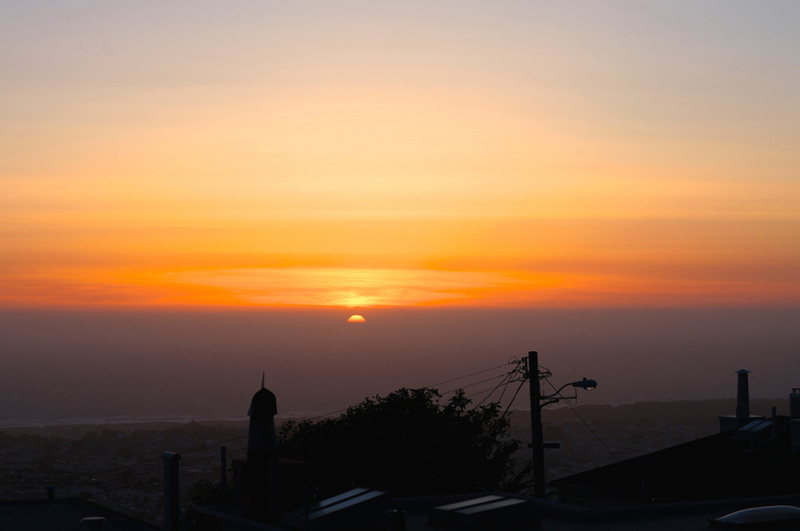 Golden Gate Heights is tucked neatly in between four neighboring districts, and is one of the city’s most prized treasures, boasting what could be the best views in all of San Francisco. 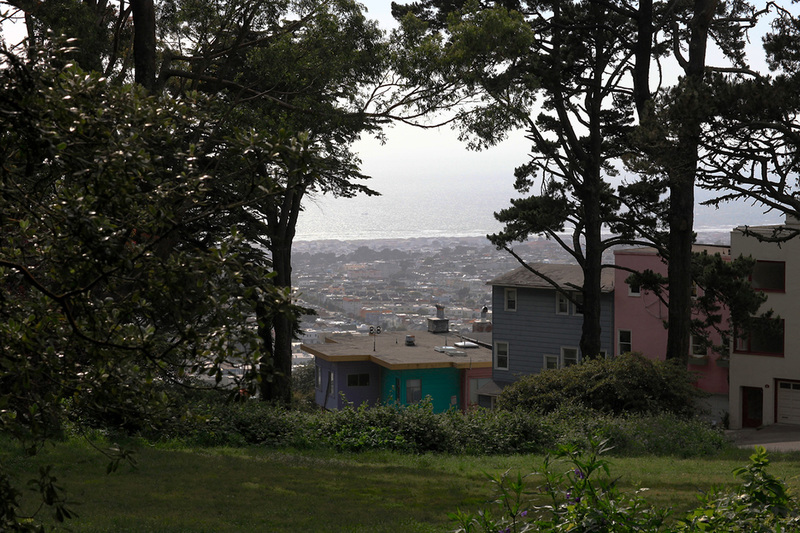 Homes in this area are almost all single-family dwellings, but range in style from 1920s architecture, through Mid-Century Modern. 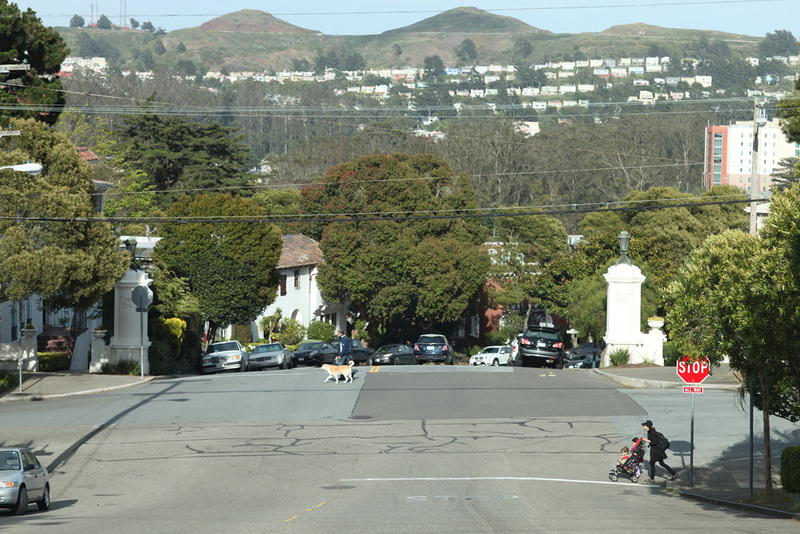 While homeowners in this neighborhood are also automobile owners, the city’s public transportation lines run through and along this residential sector making it easy to bop around town, which comes in handy as there are no commercial hubs within the neighborhood’s borders. 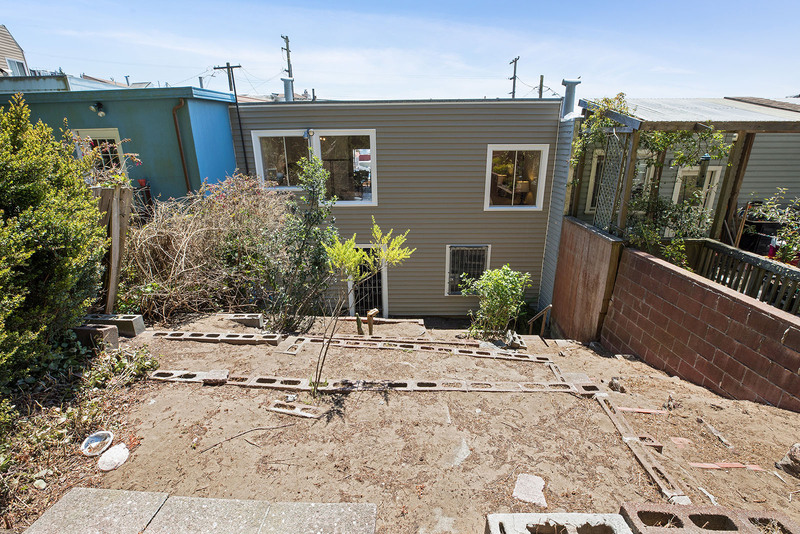 The small size of this hidden neighborhood is by no means a reflection of its big character. 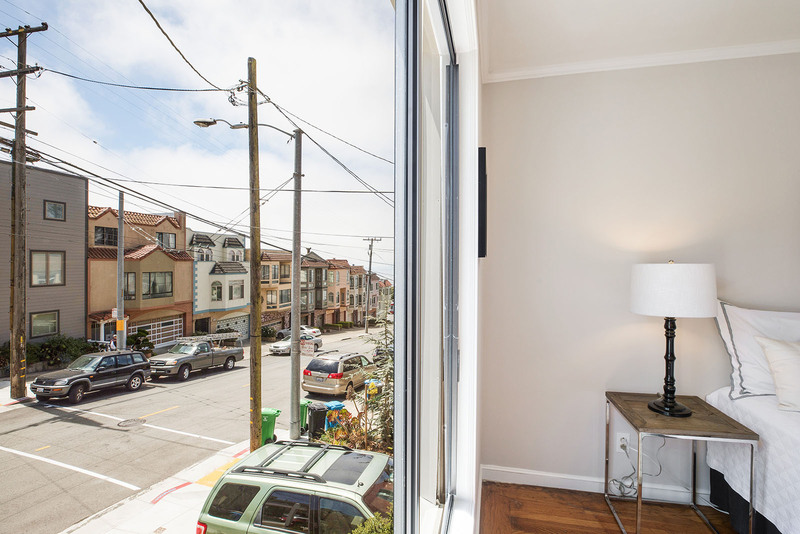 The unique district packs a punch with its buzzing energy, charming homes, and unparalleled view. 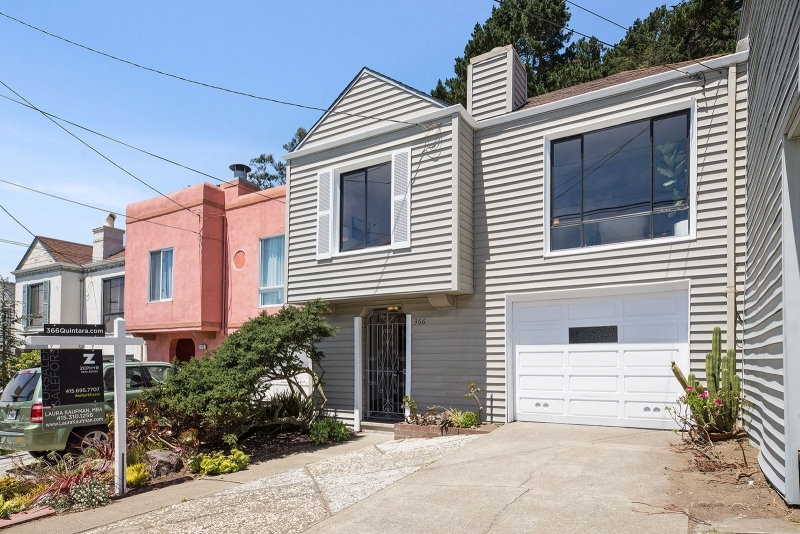 This lovely home sold 28% over list with multiple offers!